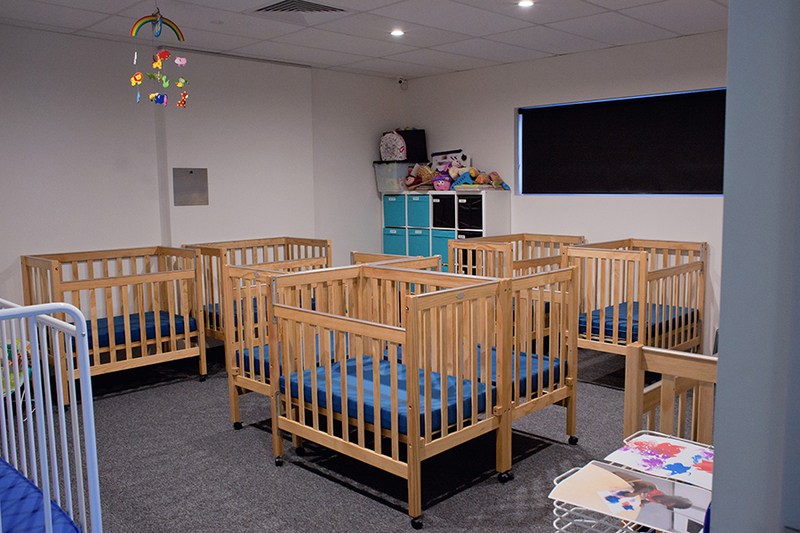 Our modern early learning centres are “all inclusive” services providing nappies, wipes, sunscreen and nutritionally balanced meals. 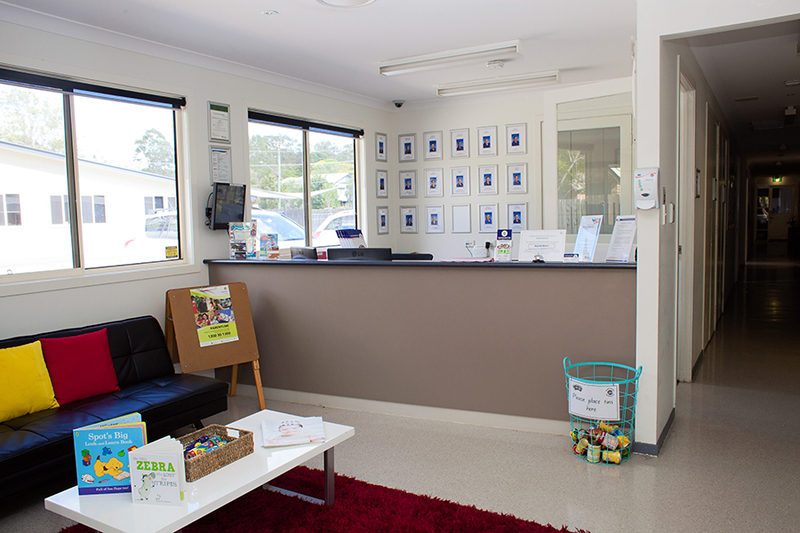 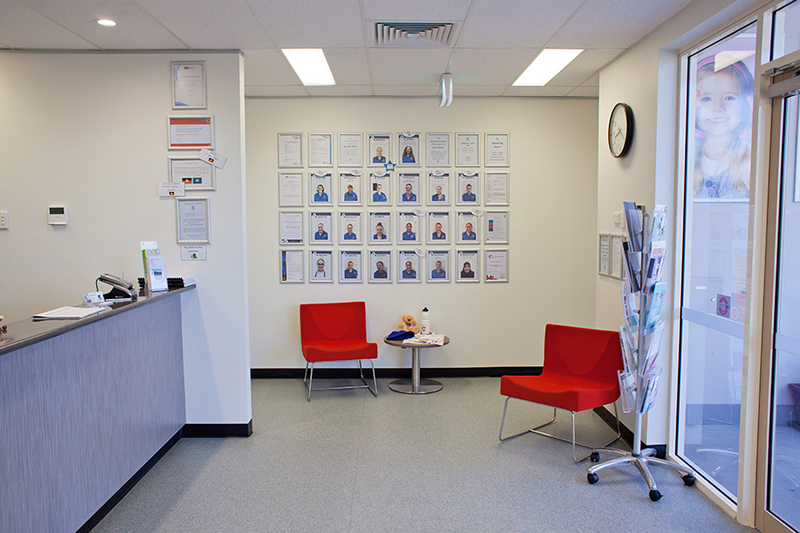 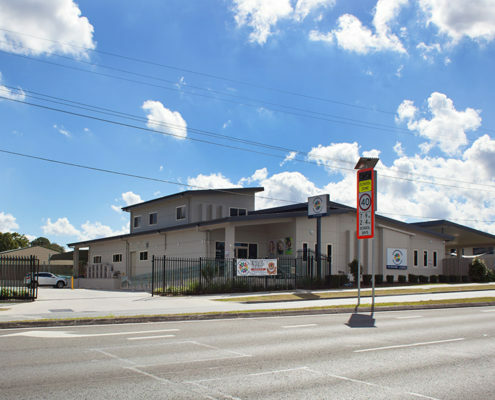 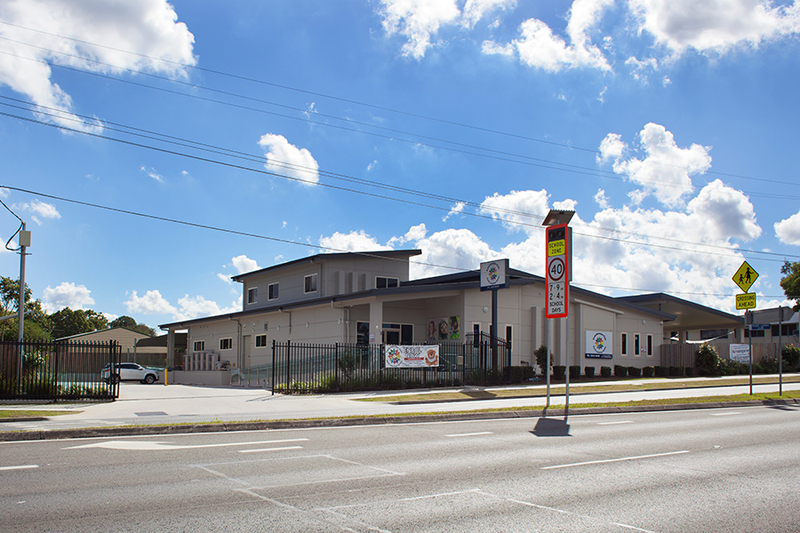 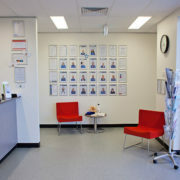 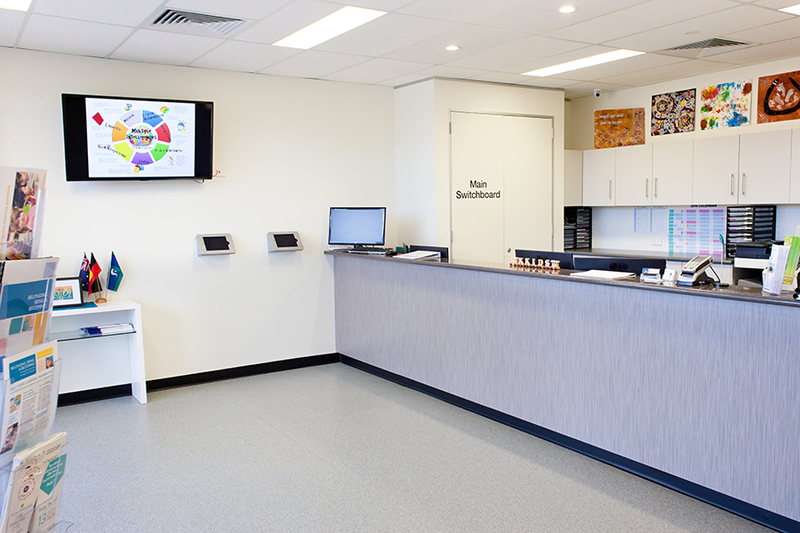 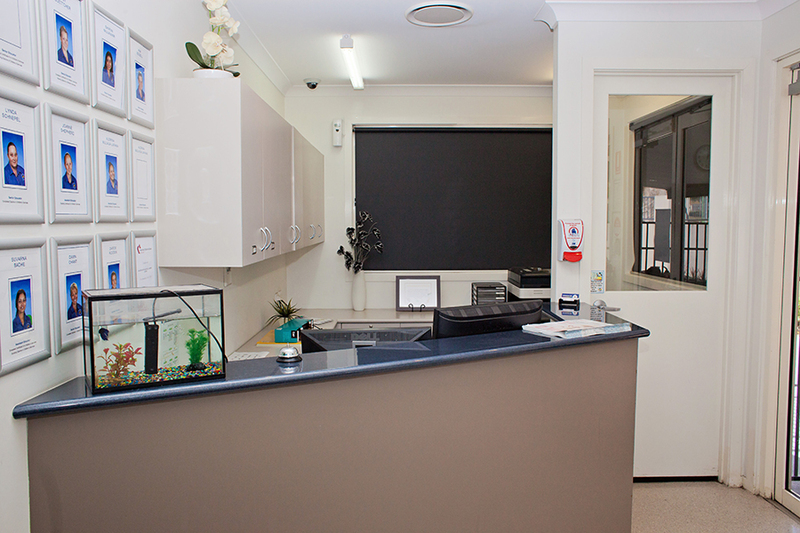 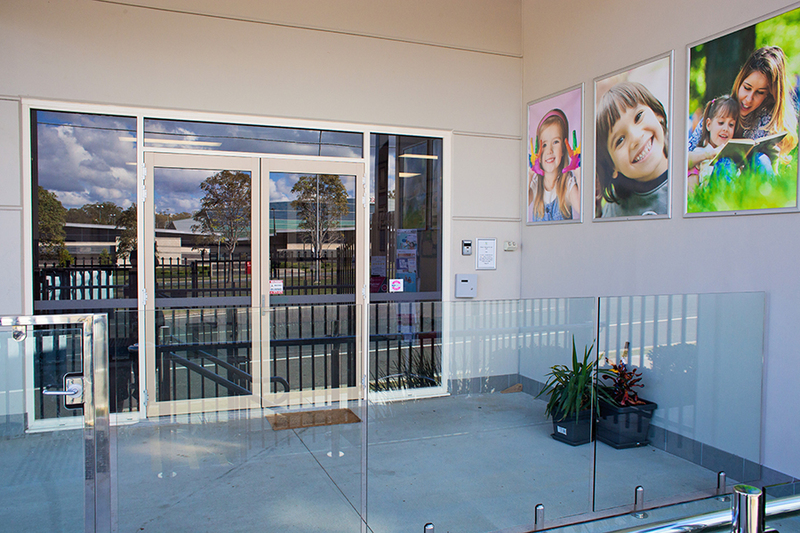 Our centres are convieniently located at GOODNA (45 Alice Street, Goodna), LOGAN CENTRAL (143 Wembley Road, Logan Central) and BOOVAL (111 Jacaranda Street, Booval). 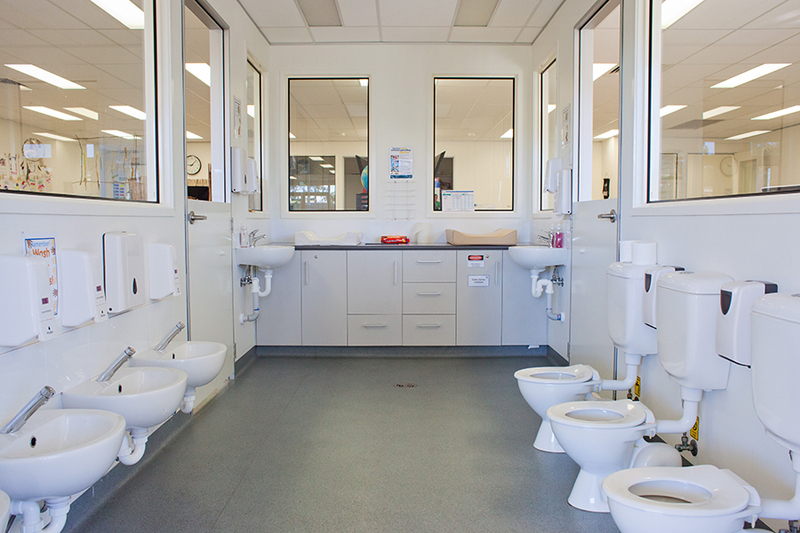 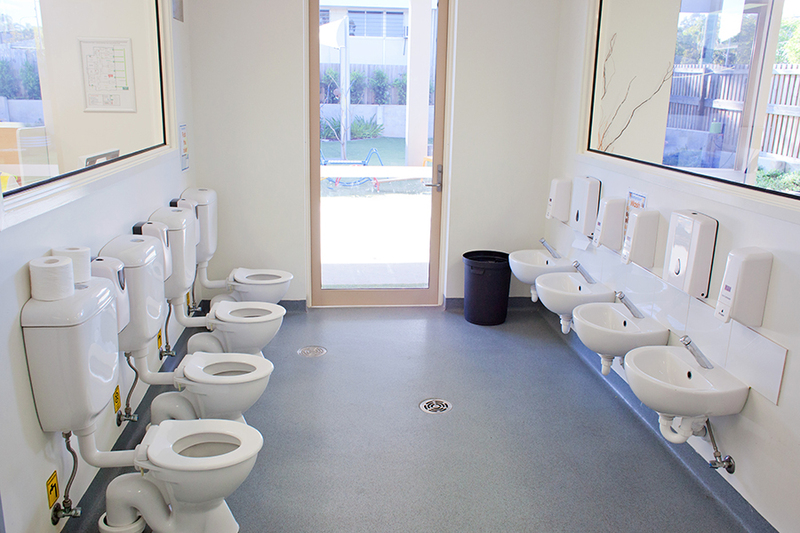 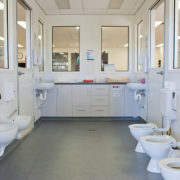 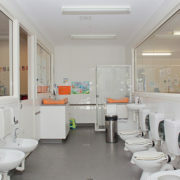 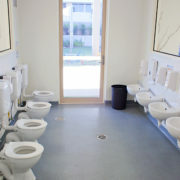 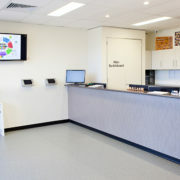 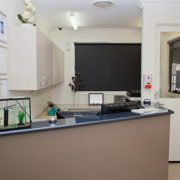 View the galleries below to see each centre’s facilities. 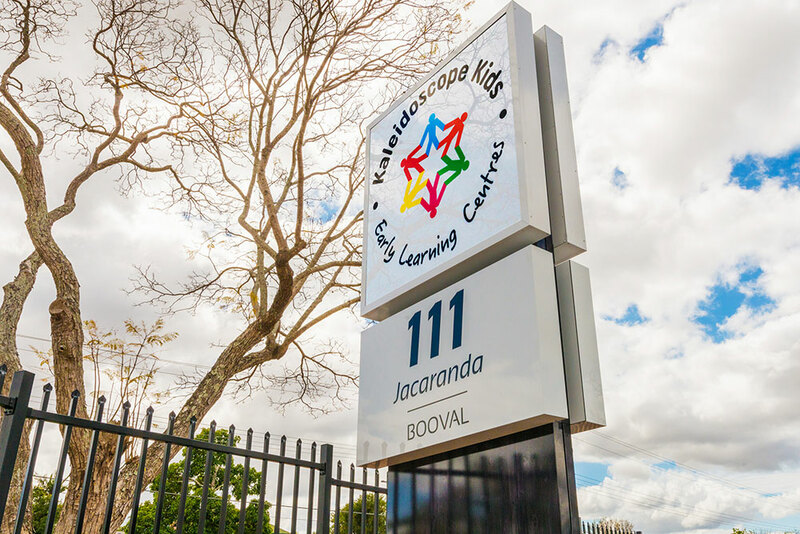 For all enquiries or, if you would like to visit our centres please contact your nearest Kaleidoscope Kids Early Learning Centre for more information. 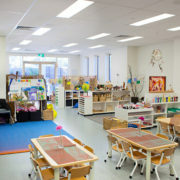 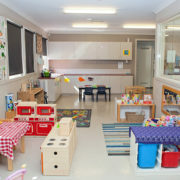 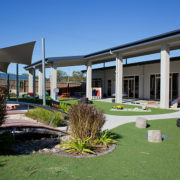 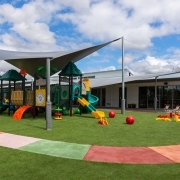 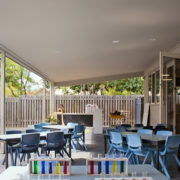 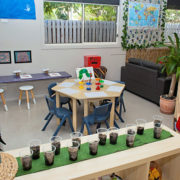 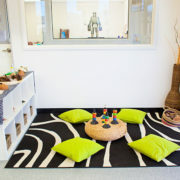 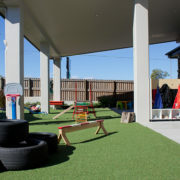 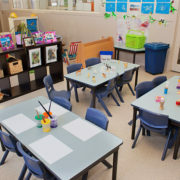 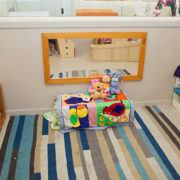 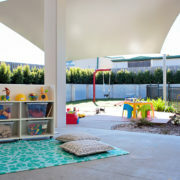 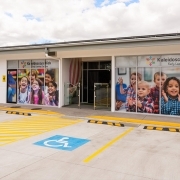 Kaleidoscope Kids Early Learning Centre Logan Central will be licensed for up to 102 children per day aged between six weeks and six years across seven classrooms. 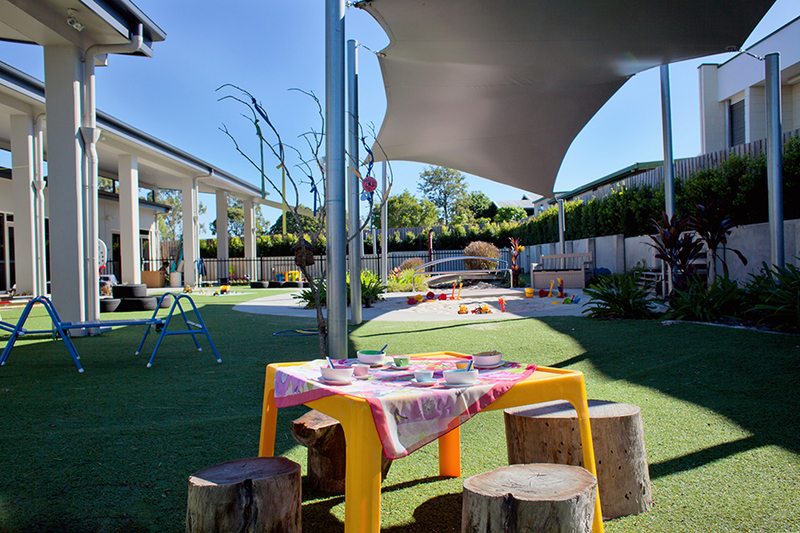 The centre has beautiful, natural landscaped outdoor environments, where there will be lots of places for children to have fun and explore. 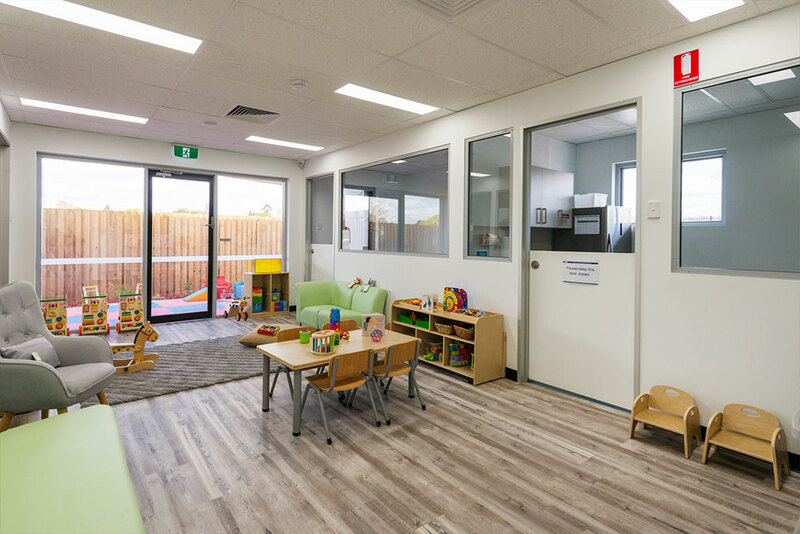 The inside has been beautifully designed to make it feel like a home away from home, where parents and children will feel welcome. 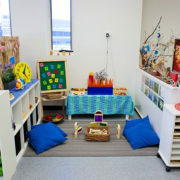 The centre will be well fit out with great resources for the inside and outside environments. 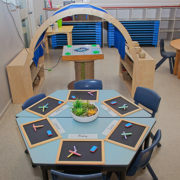 The curriculum will be based on the Early Years Learning Framework and the Queensland Kindergarten Guidelines. 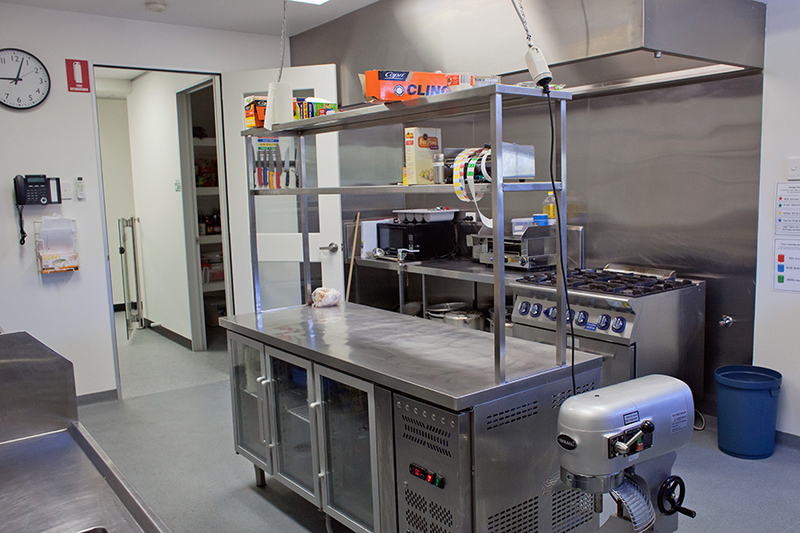 All meals are provided and are made fresh each day at the centre. 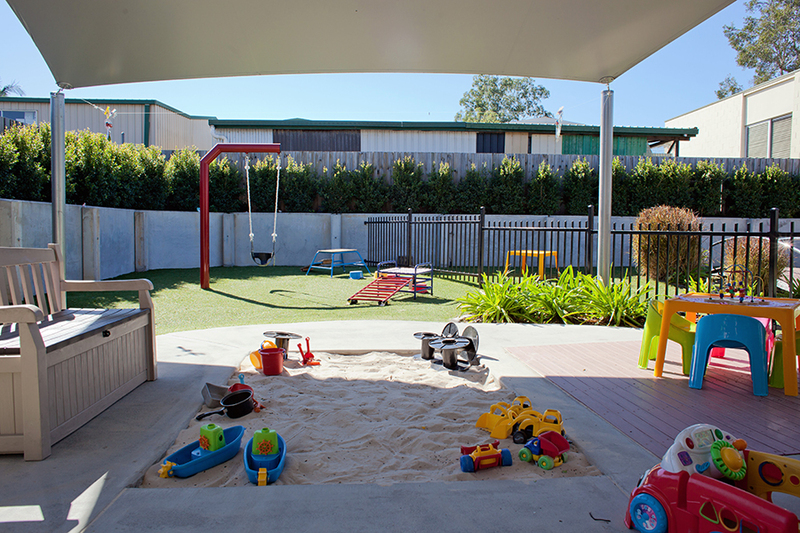 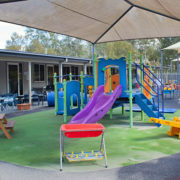 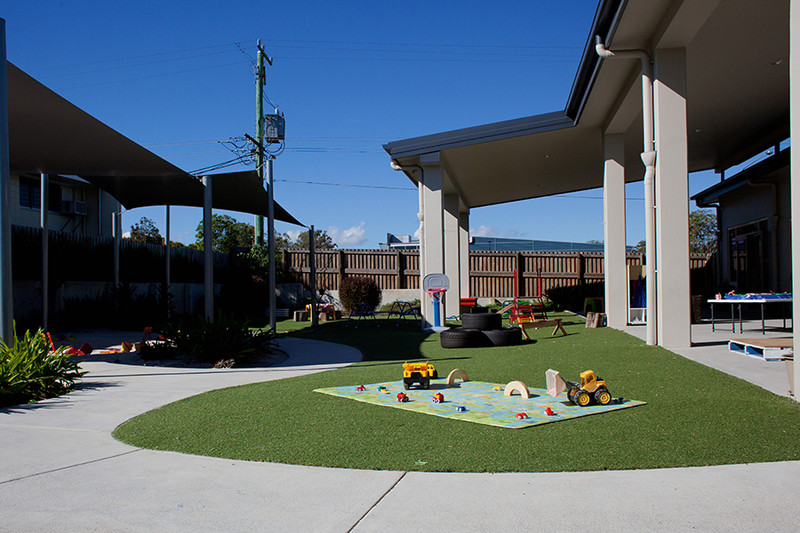 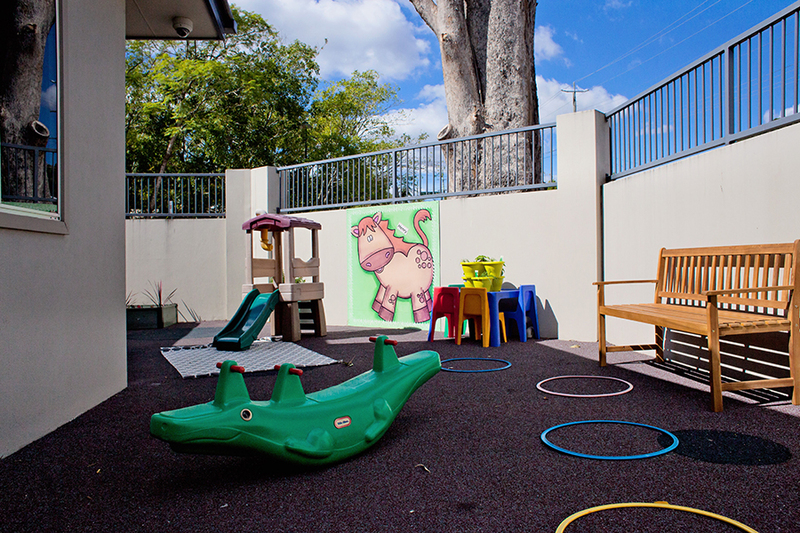 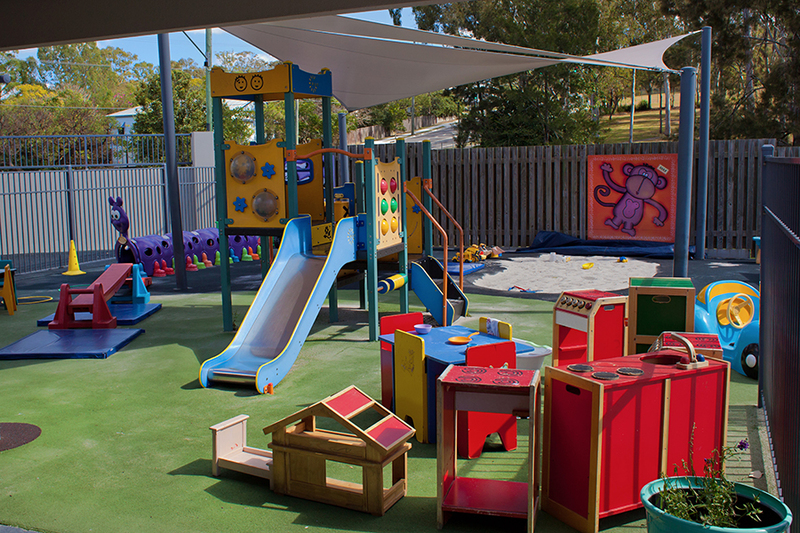 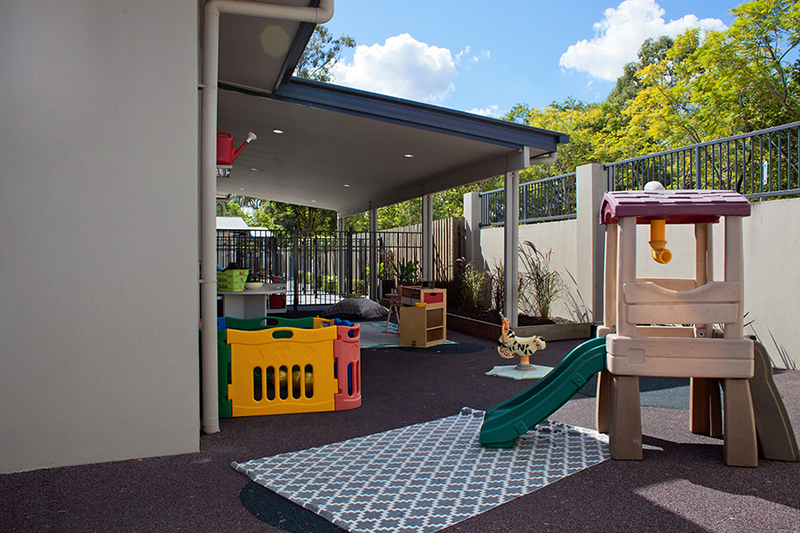 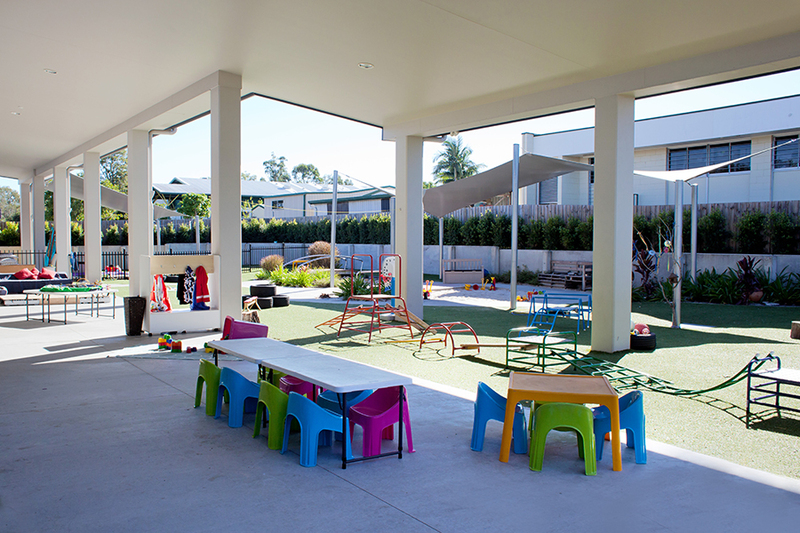 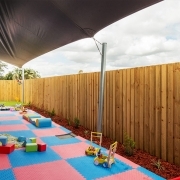 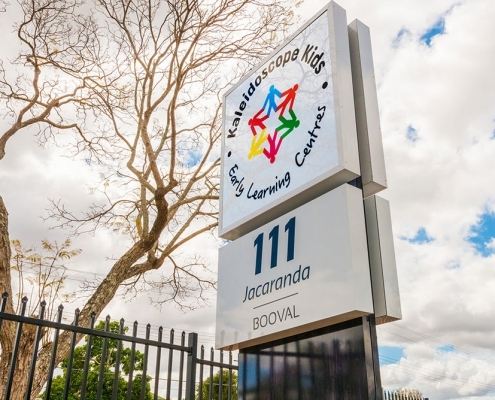 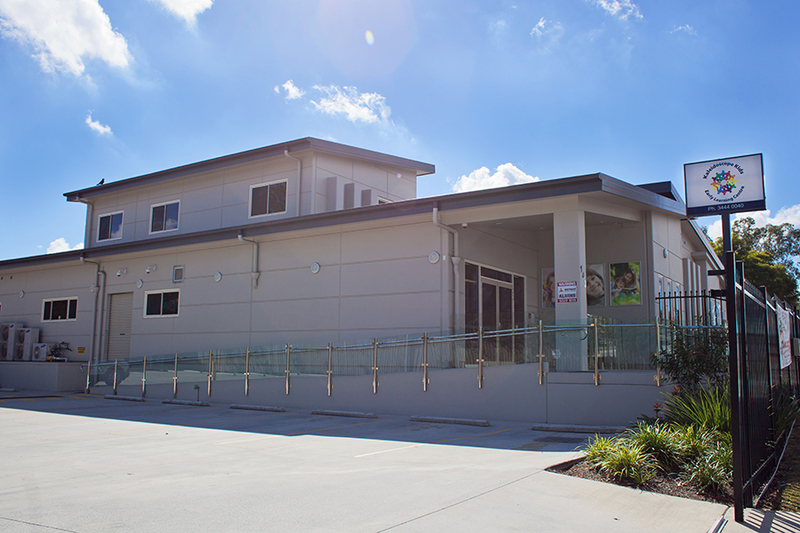 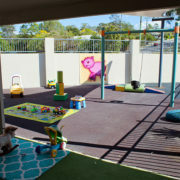 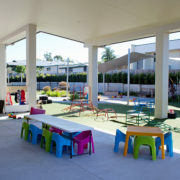 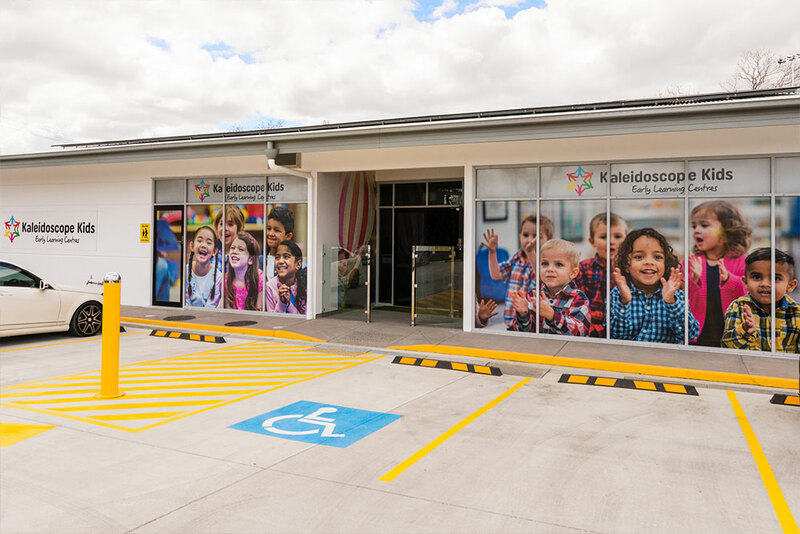 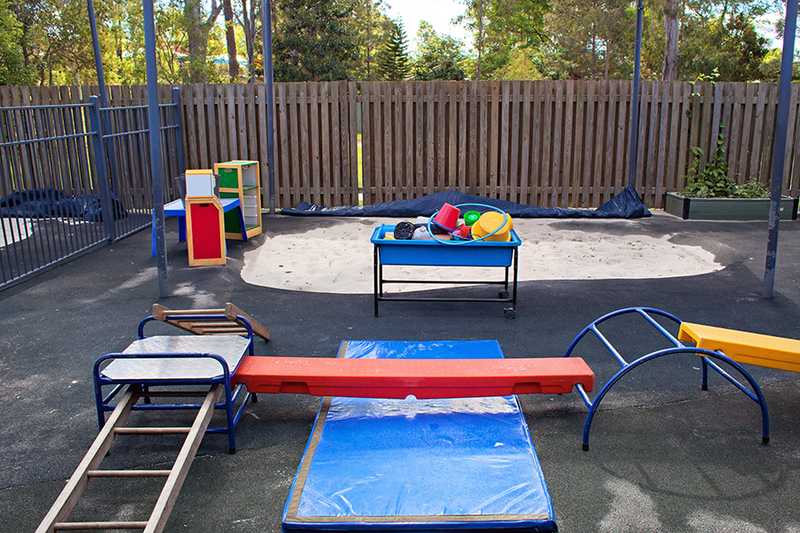 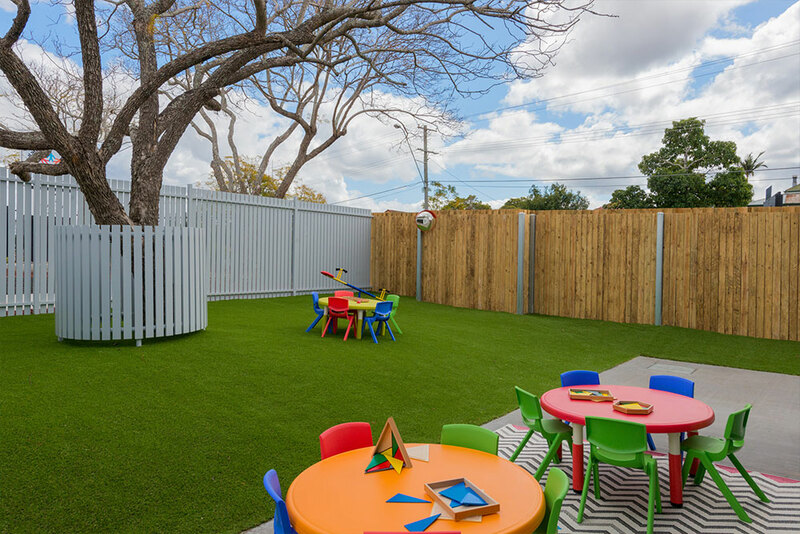 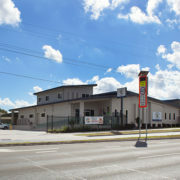 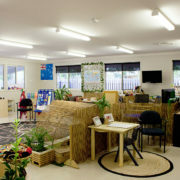 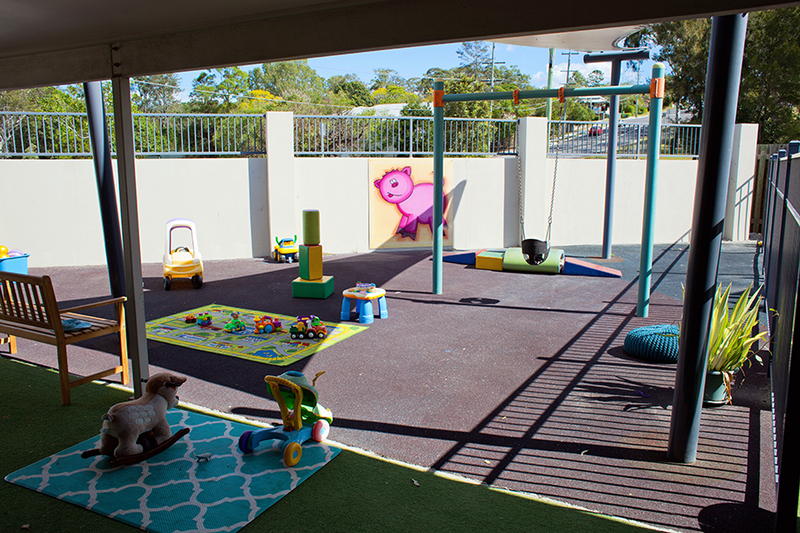 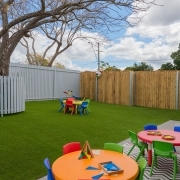 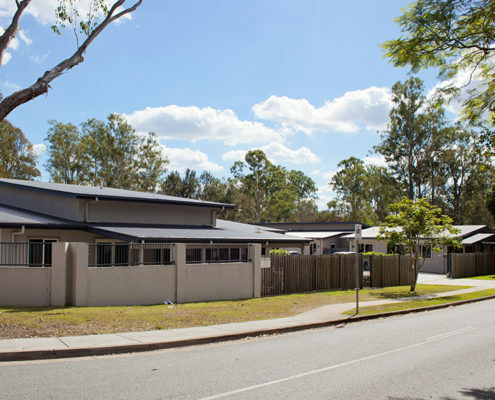 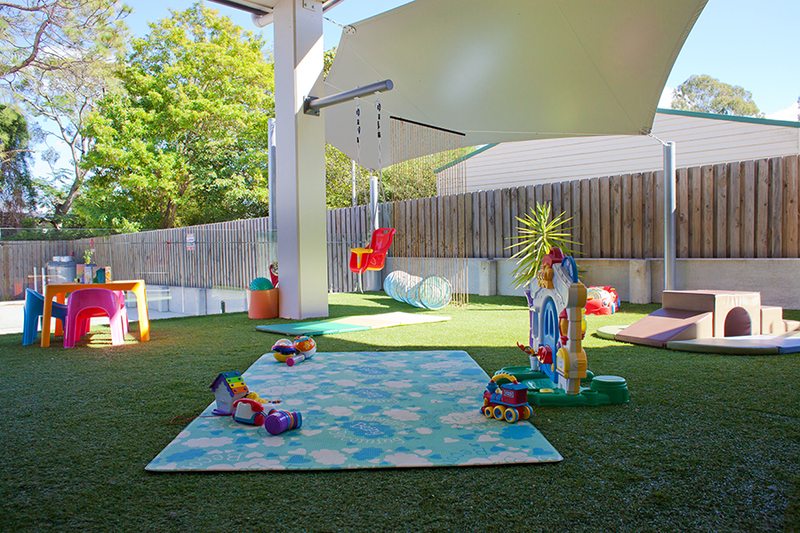 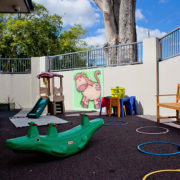 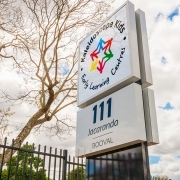 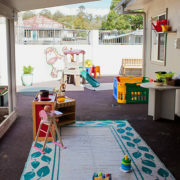 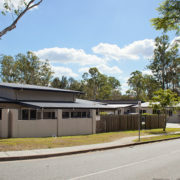 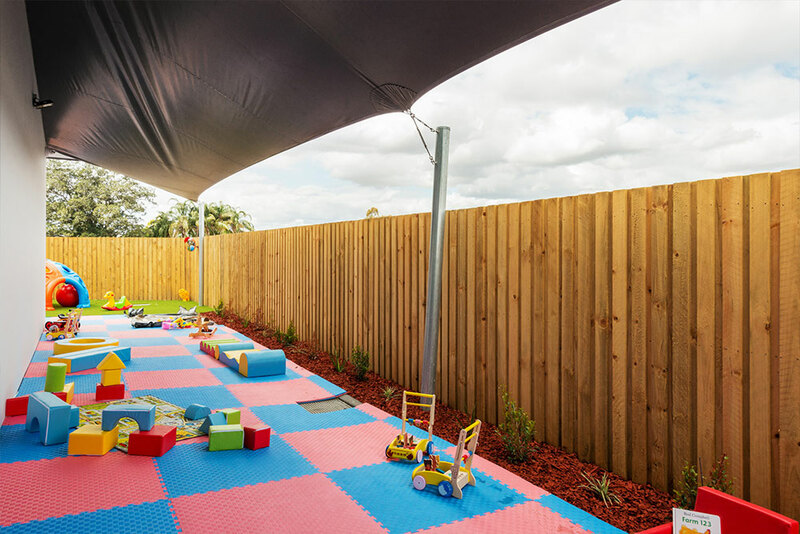 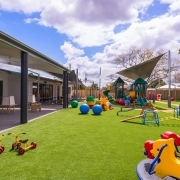 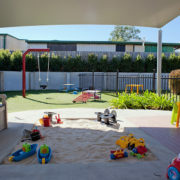 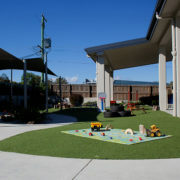 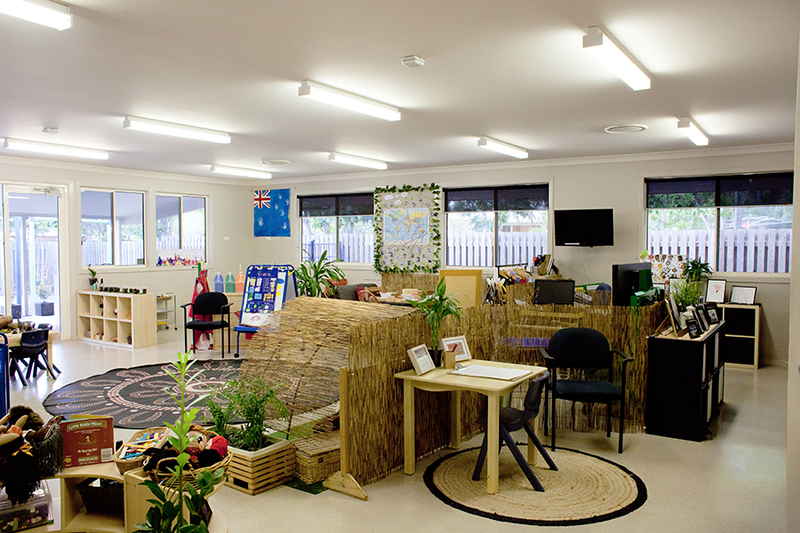 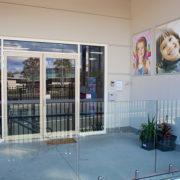 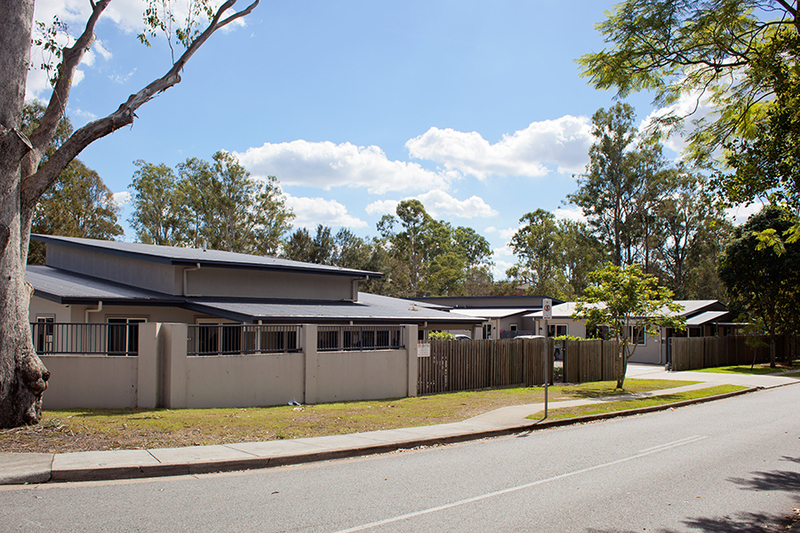 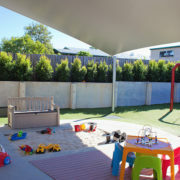 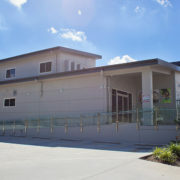 Kaleidoscope Kids Early Learning Centre Goodna is licensed for up to 119 children per day aged between six weeks and six years across eight classrooms which are divided up into two buildings. 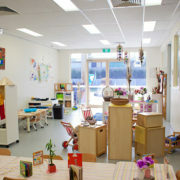 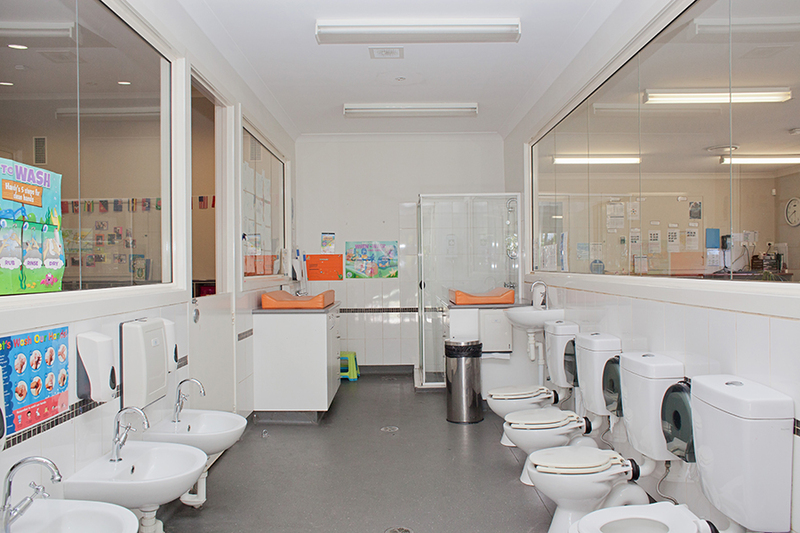 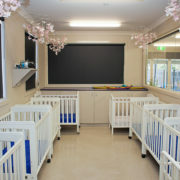 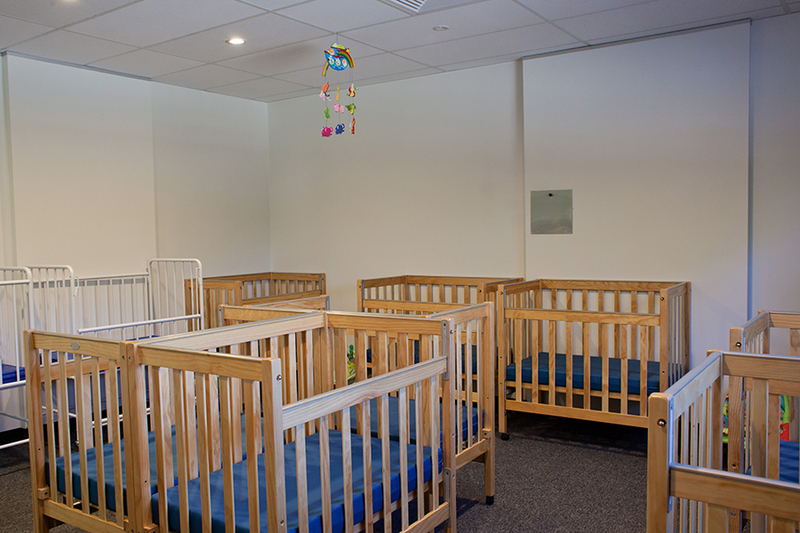 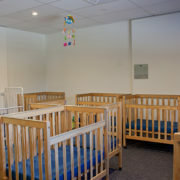 The centre is an “all inclusive” service providing nappies, wipes, suncreen and nutritionally balanced meals daily. 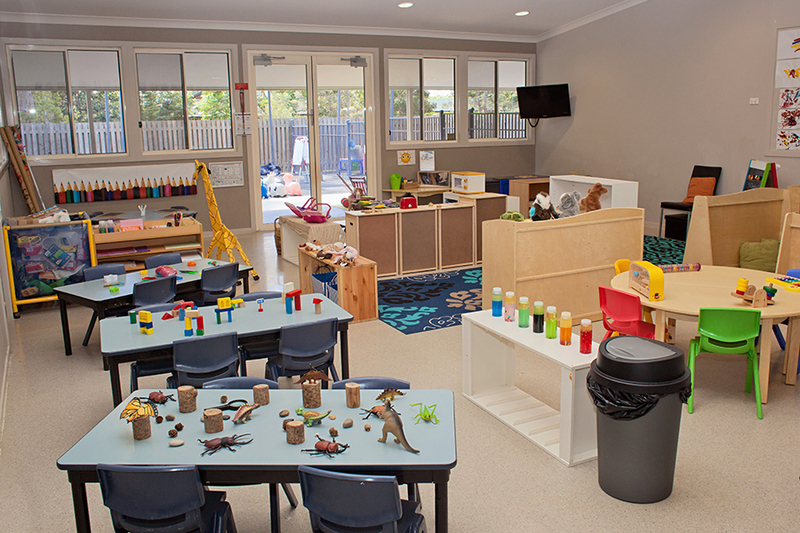 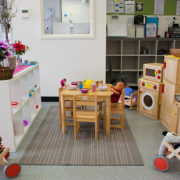 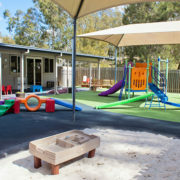 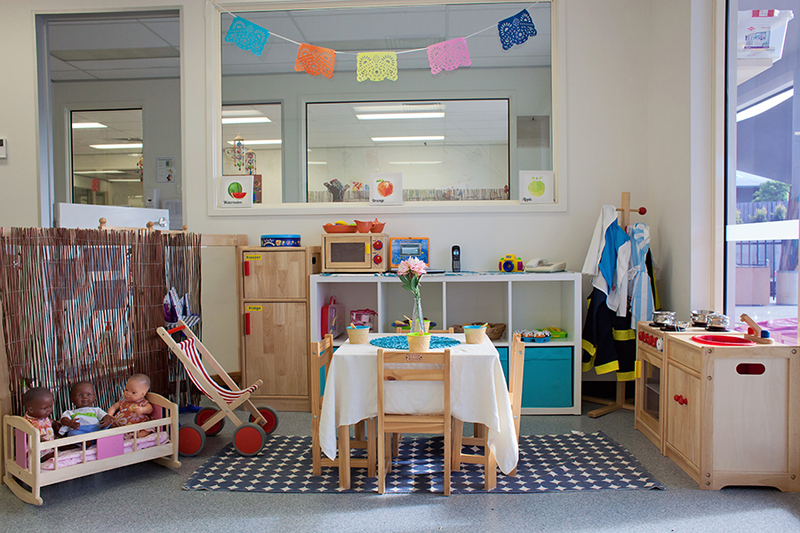 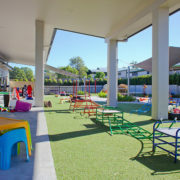 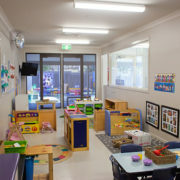 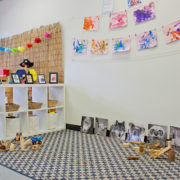 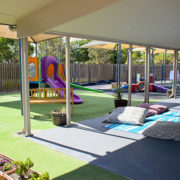 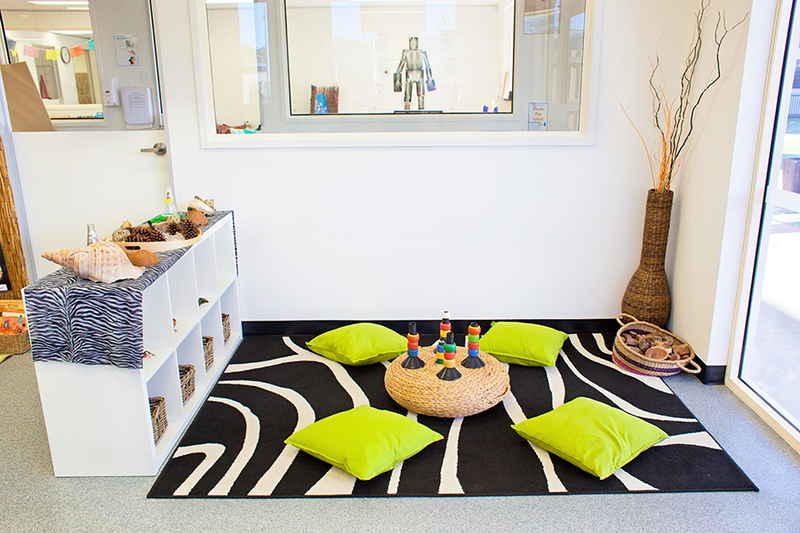 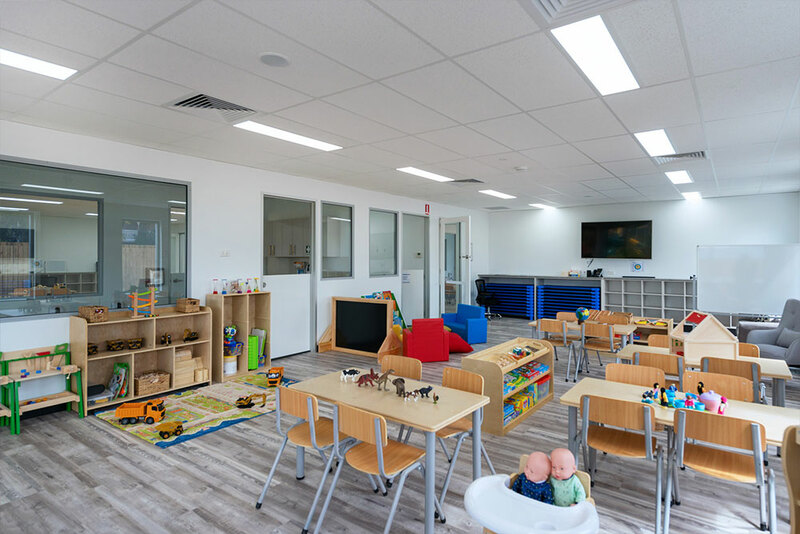 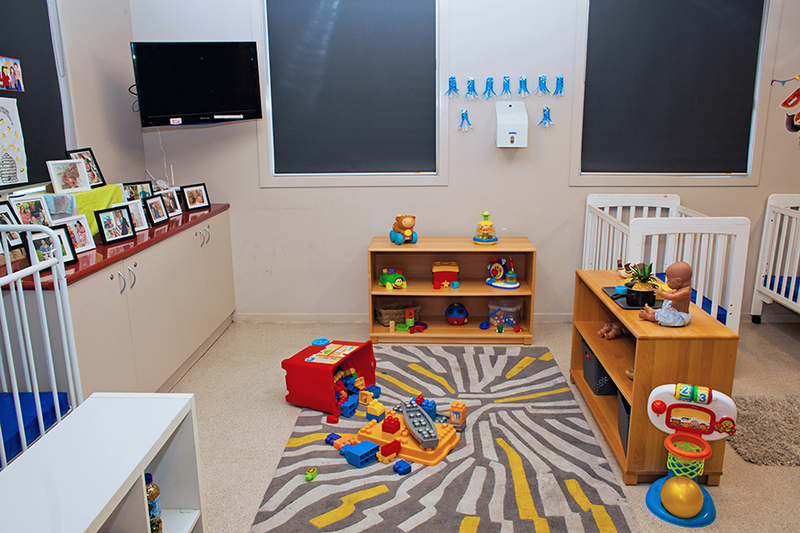 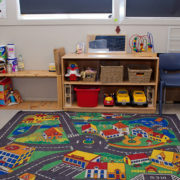 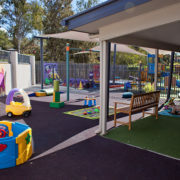 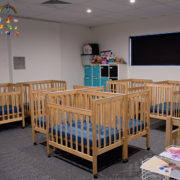 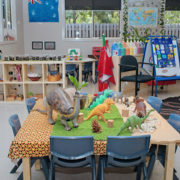 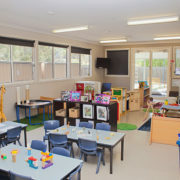 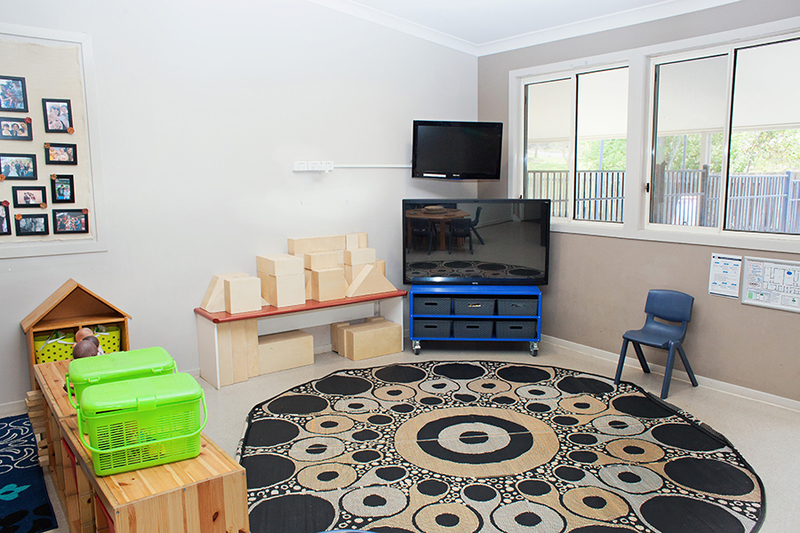 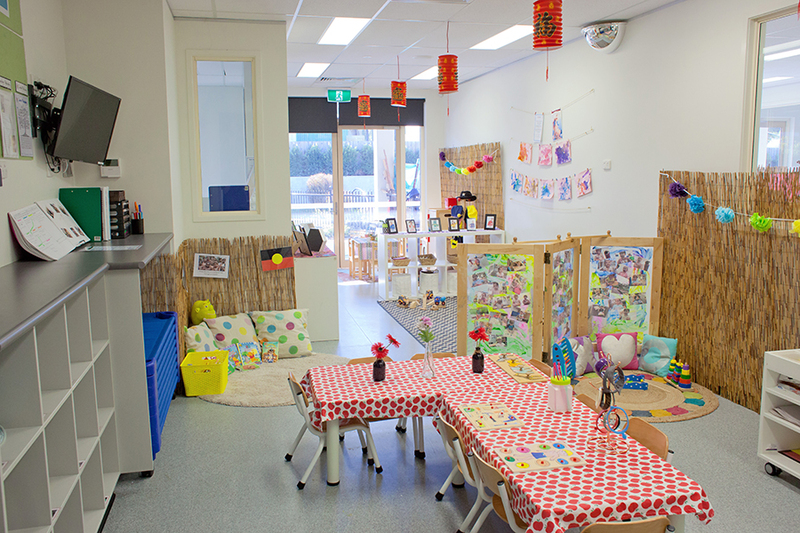 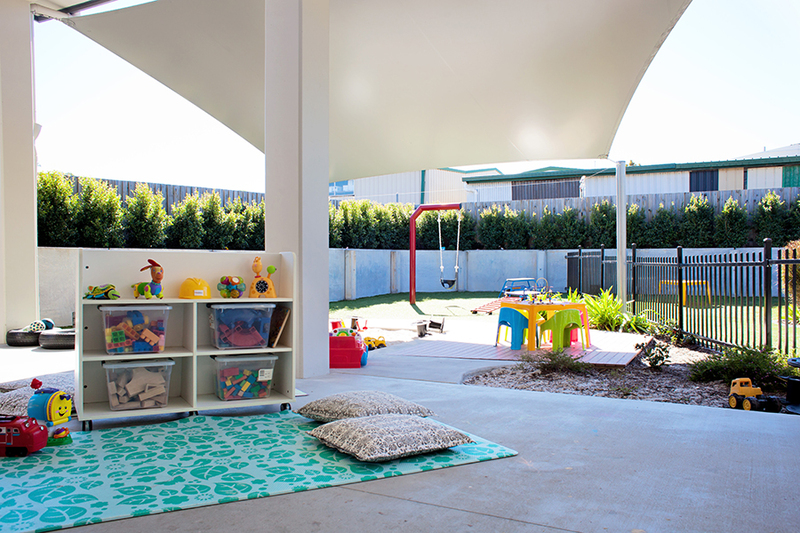 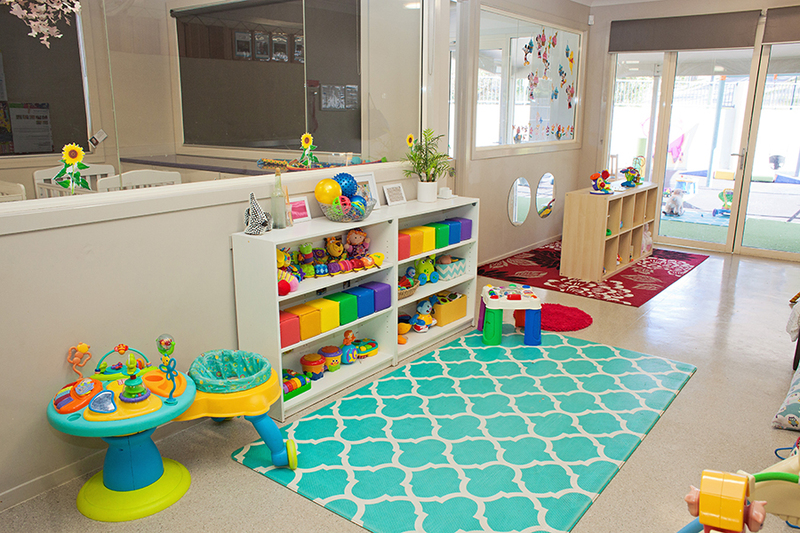 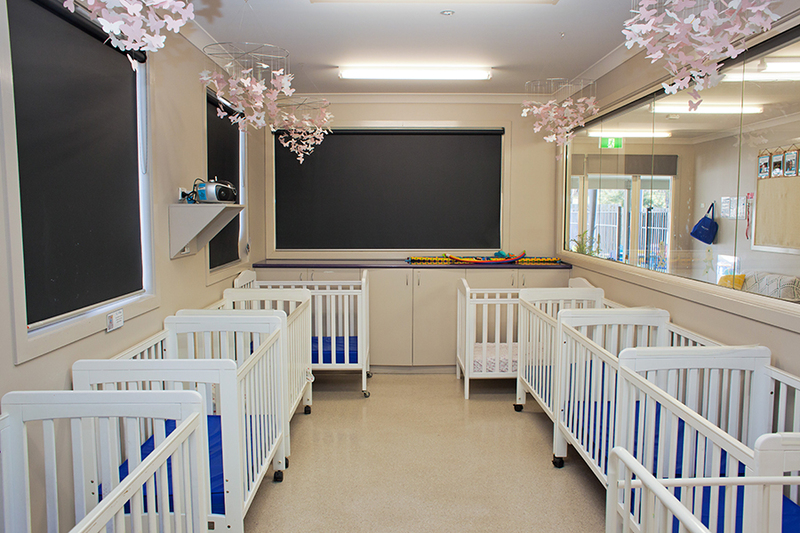 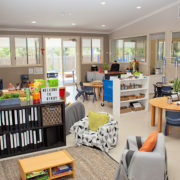 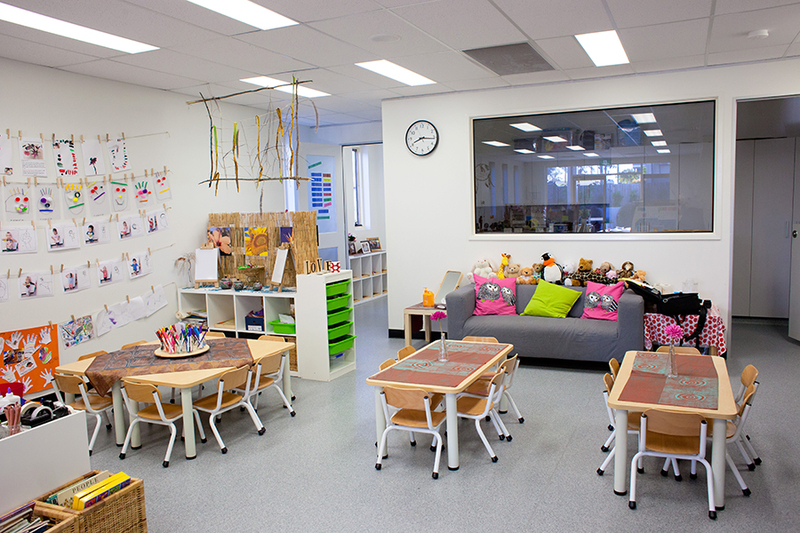 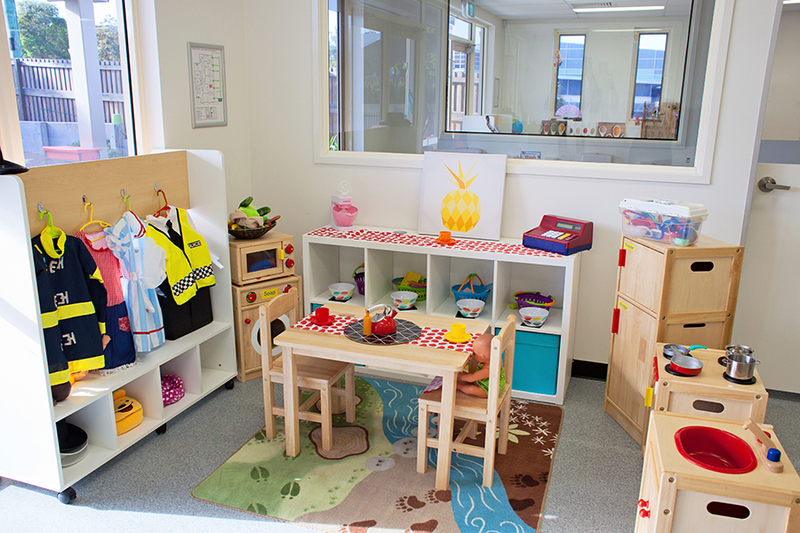 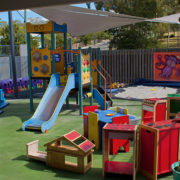 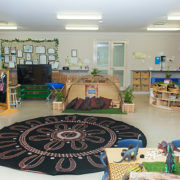 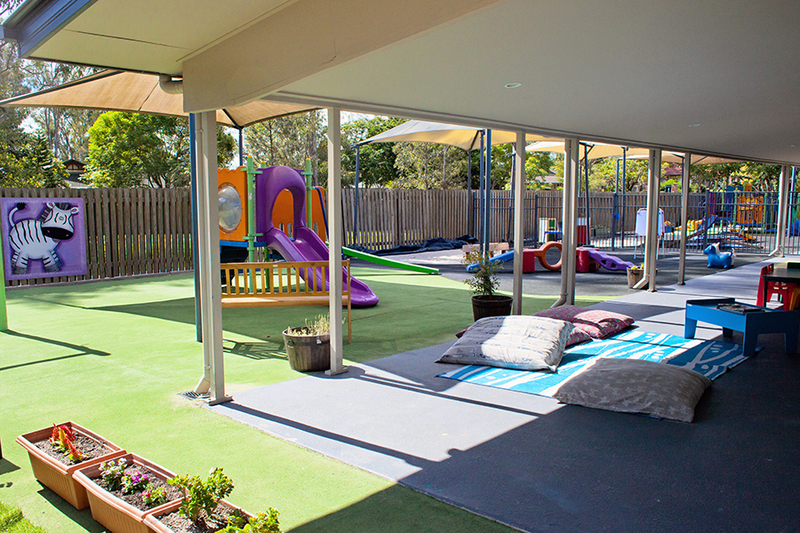 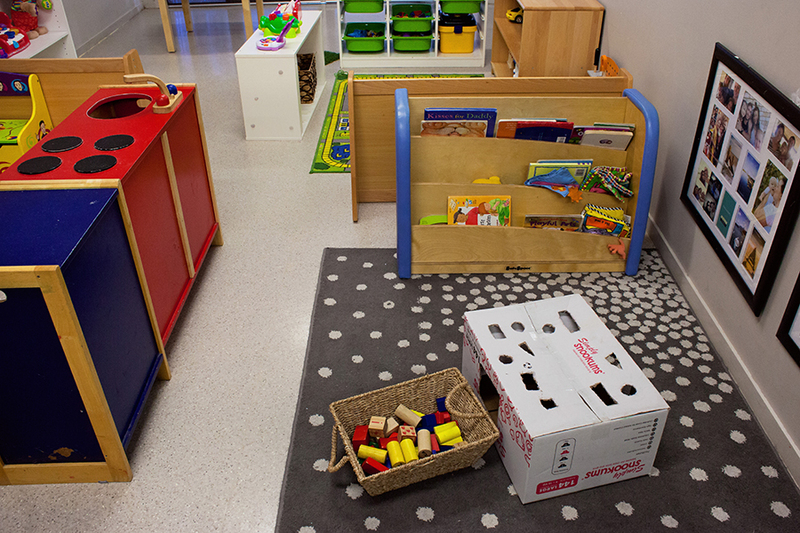 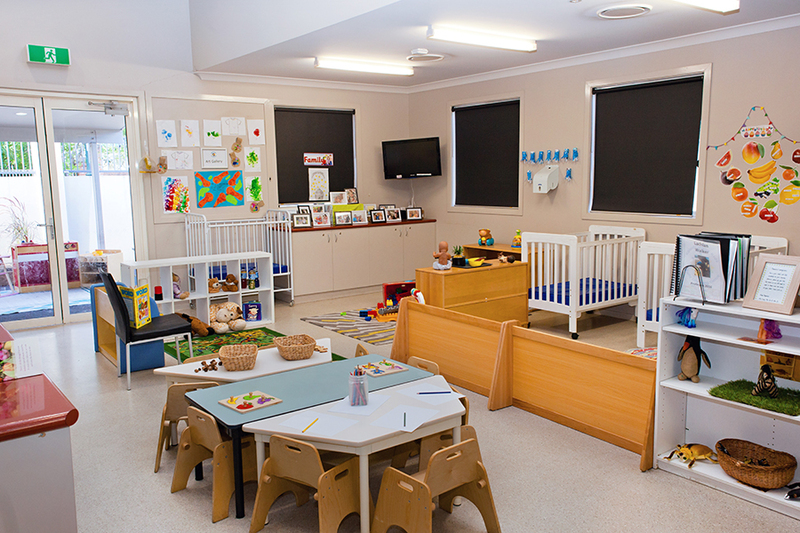 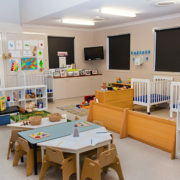 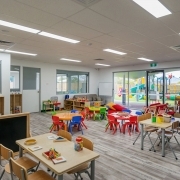 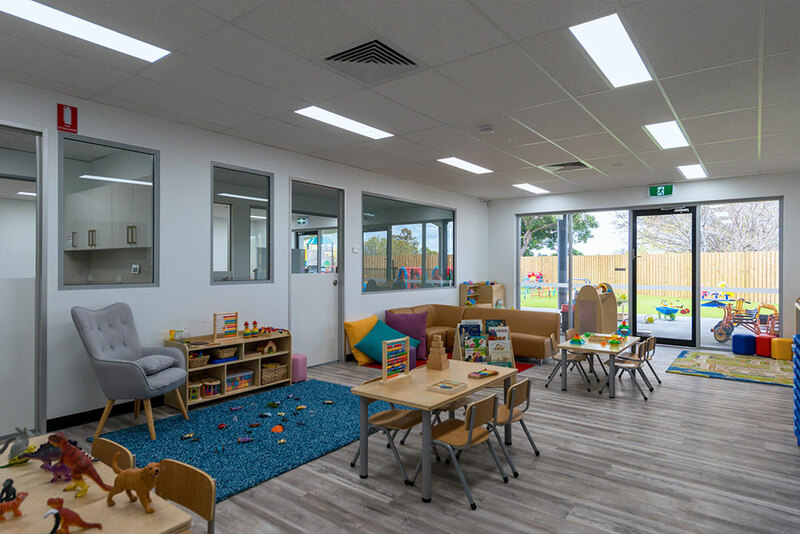 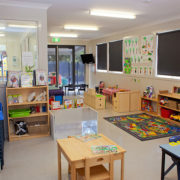 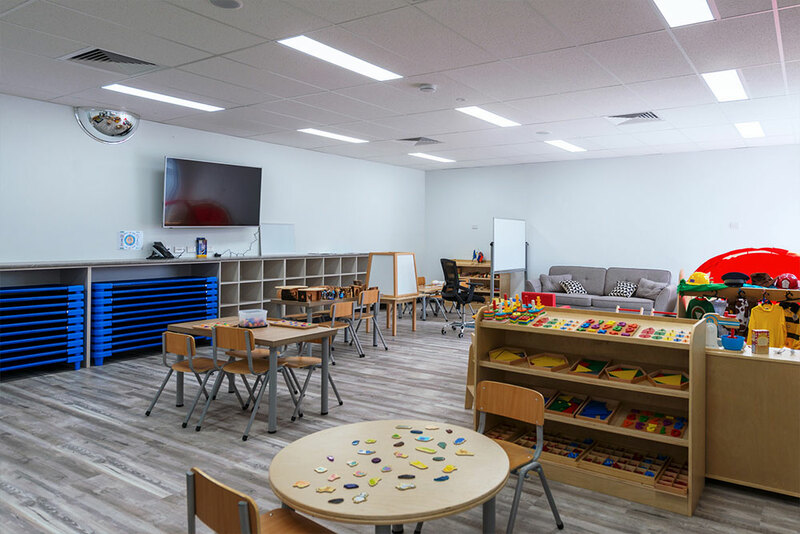 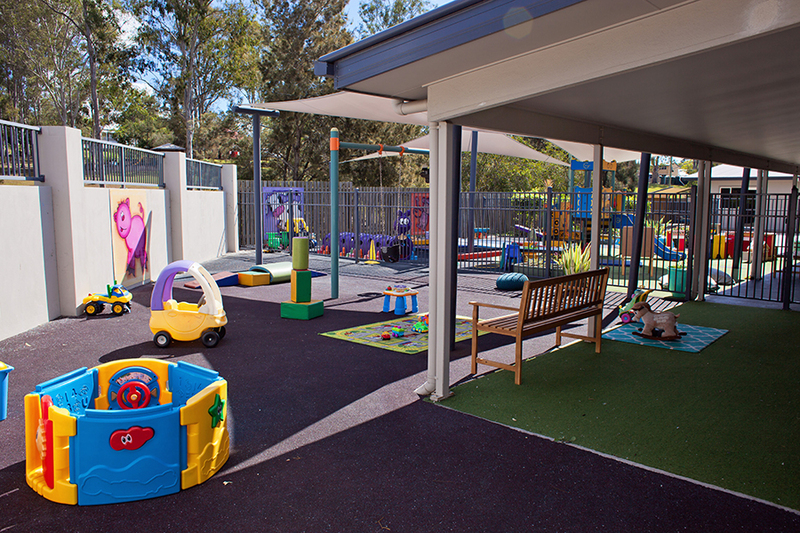 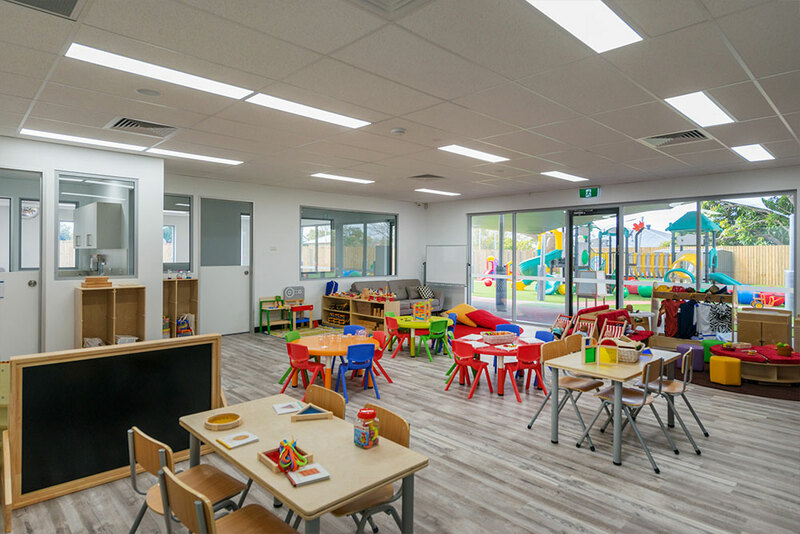 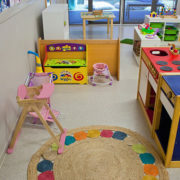 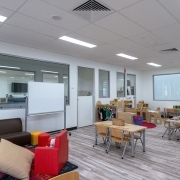 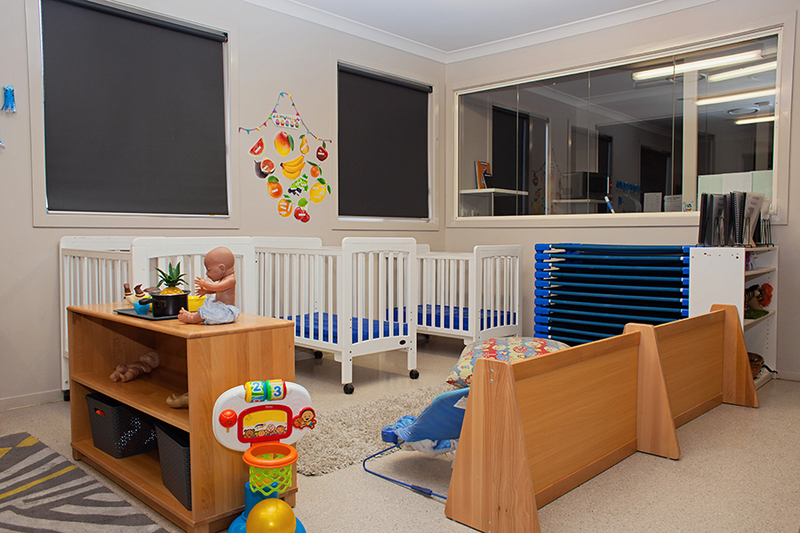 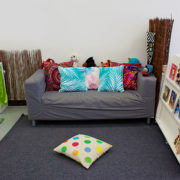 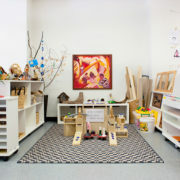 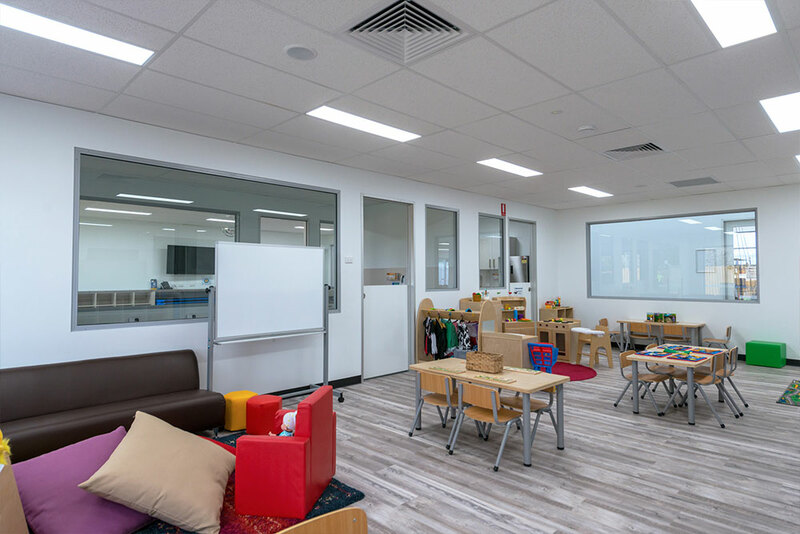 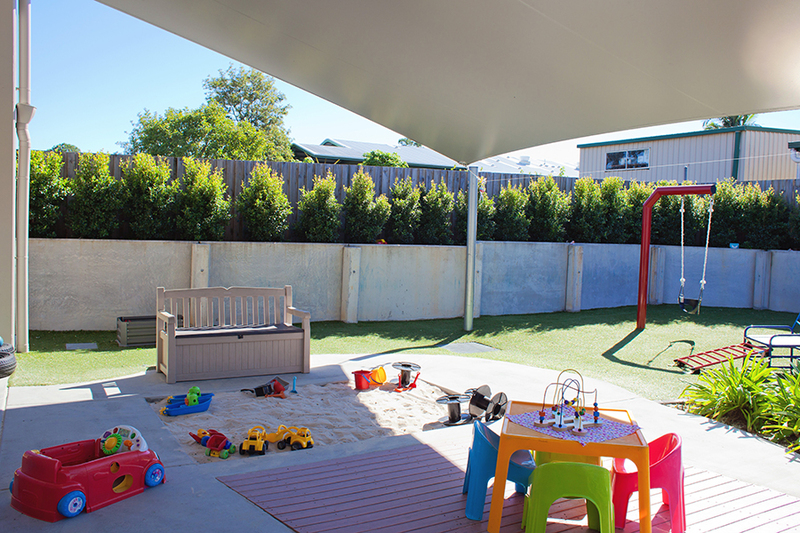 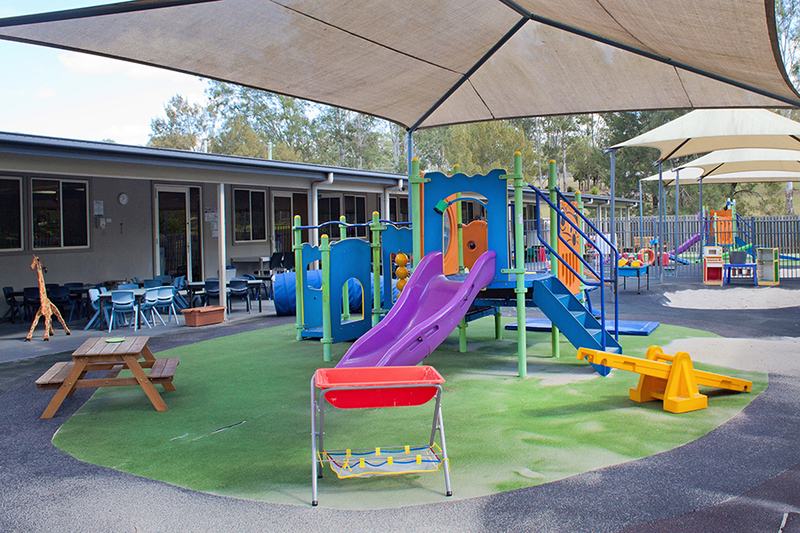 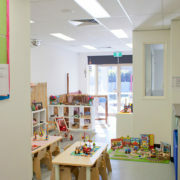 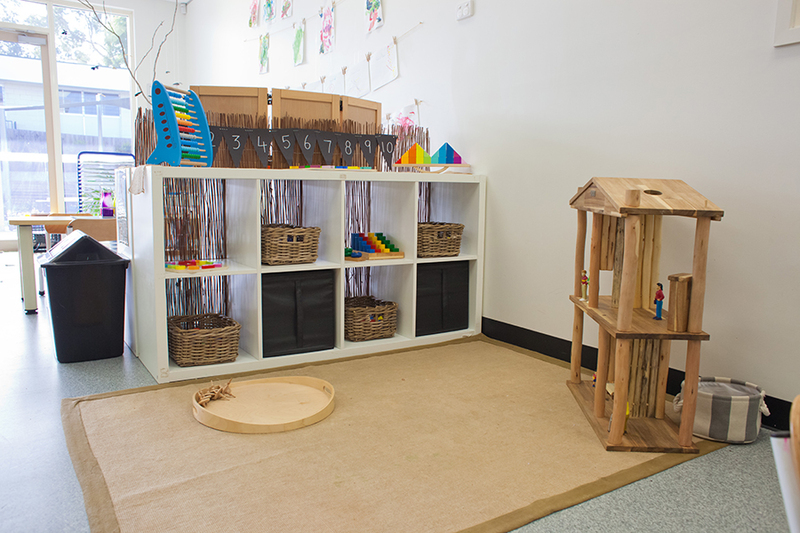 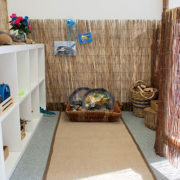 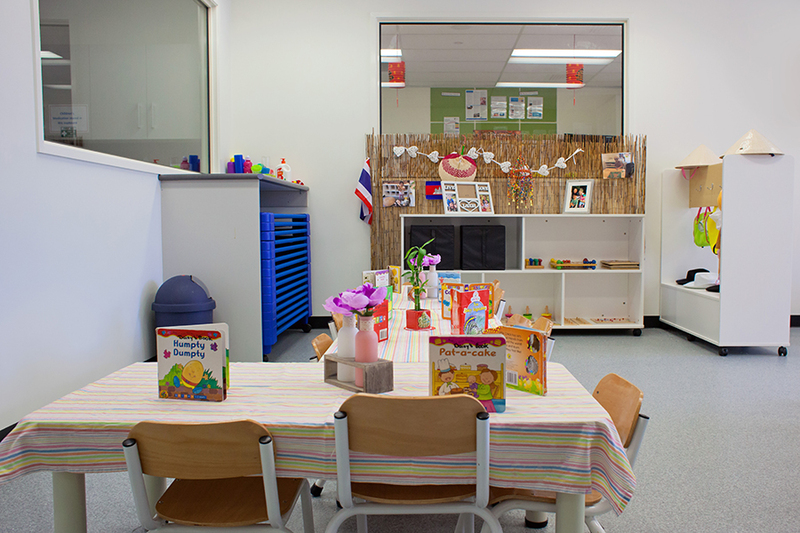 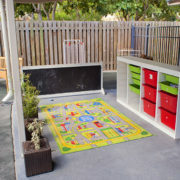 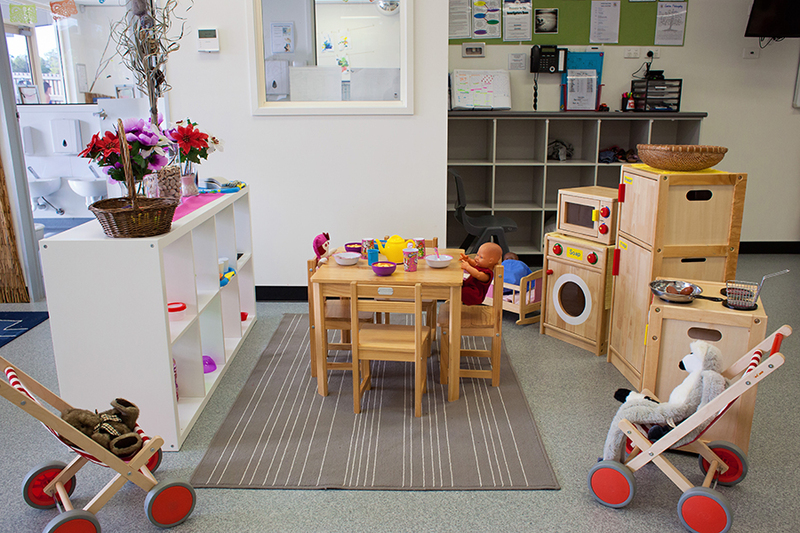 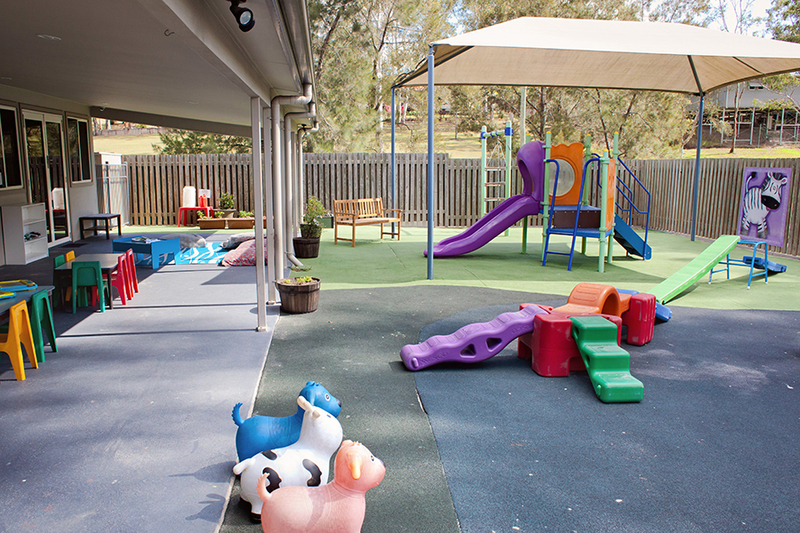 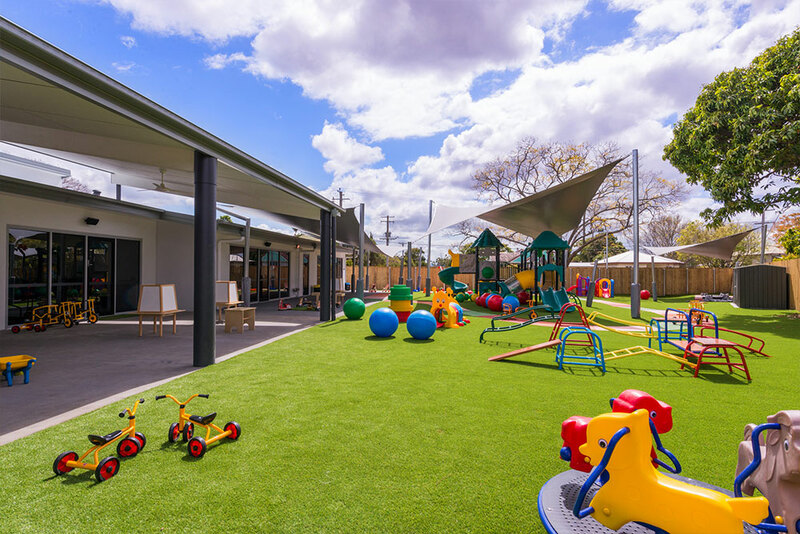 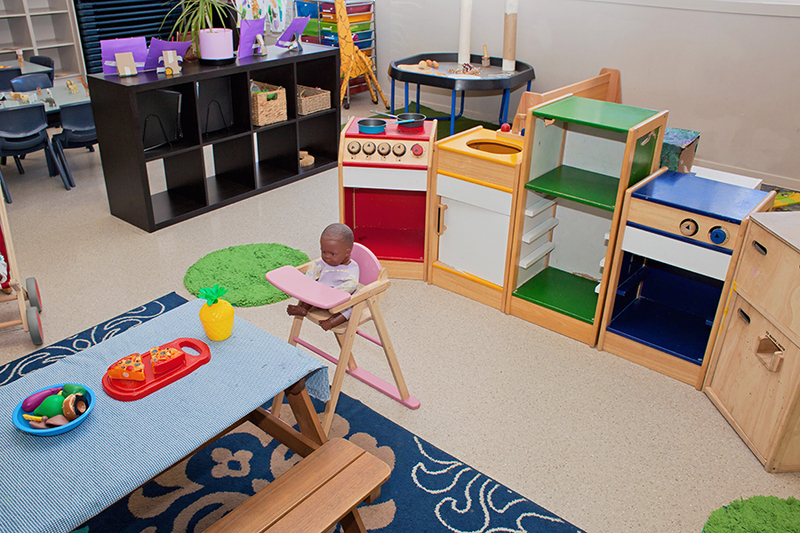 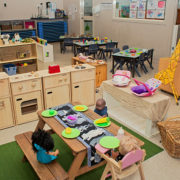 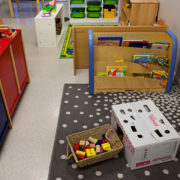 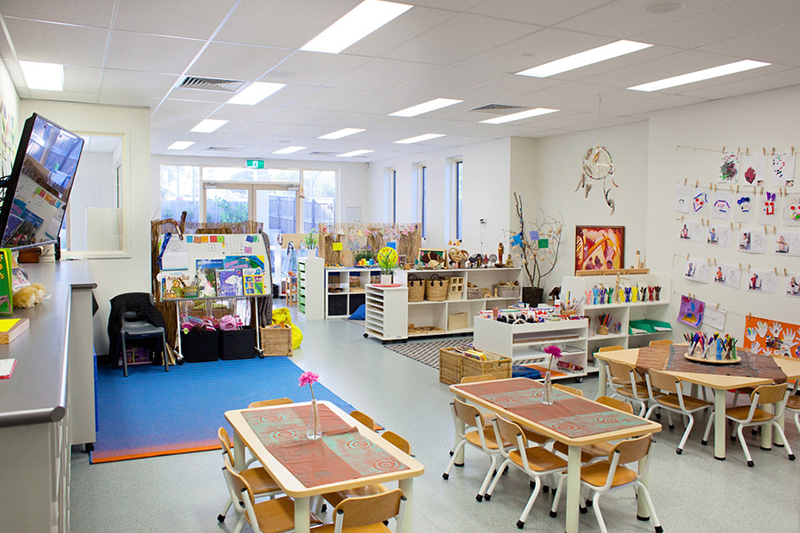 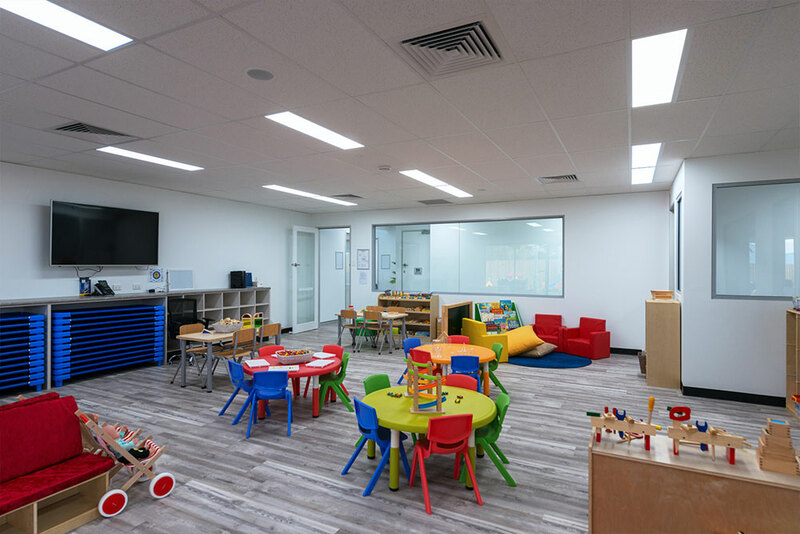 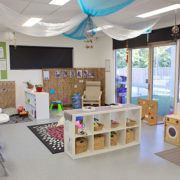 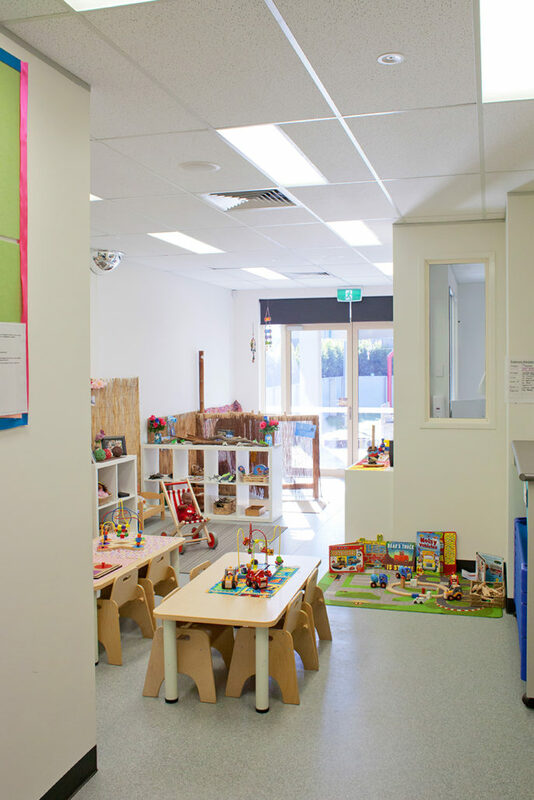 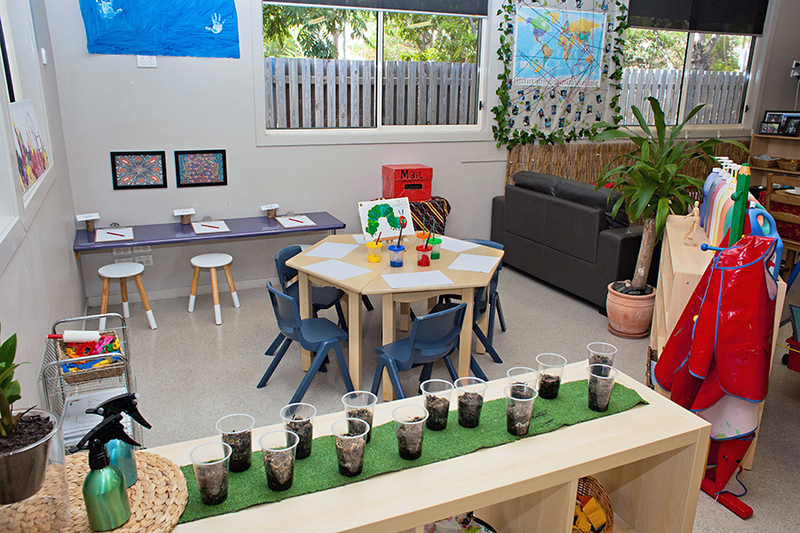 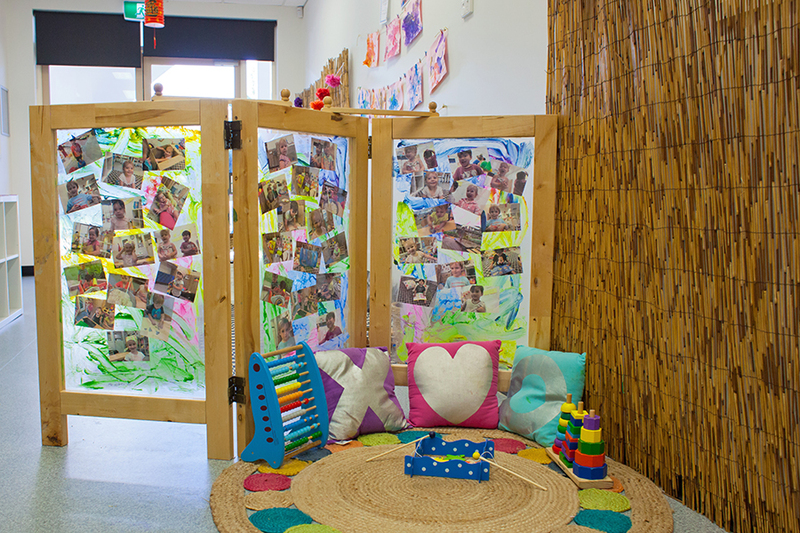 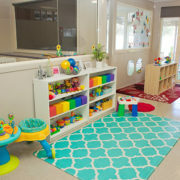 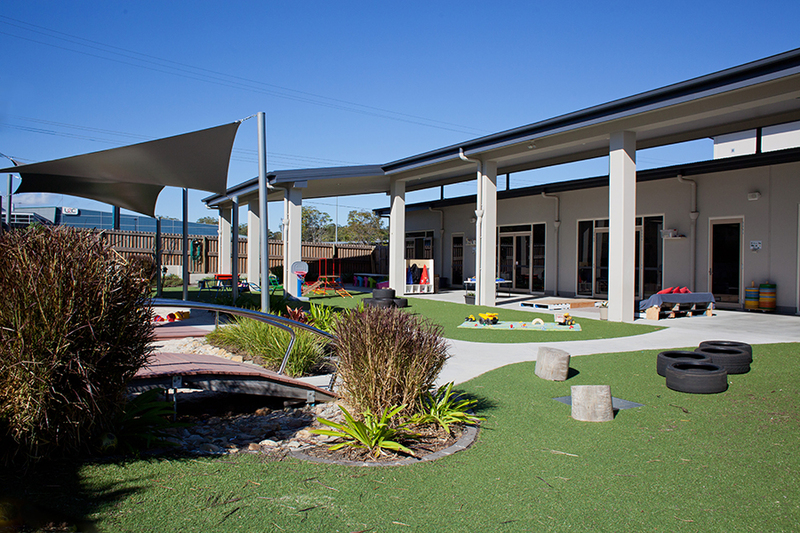 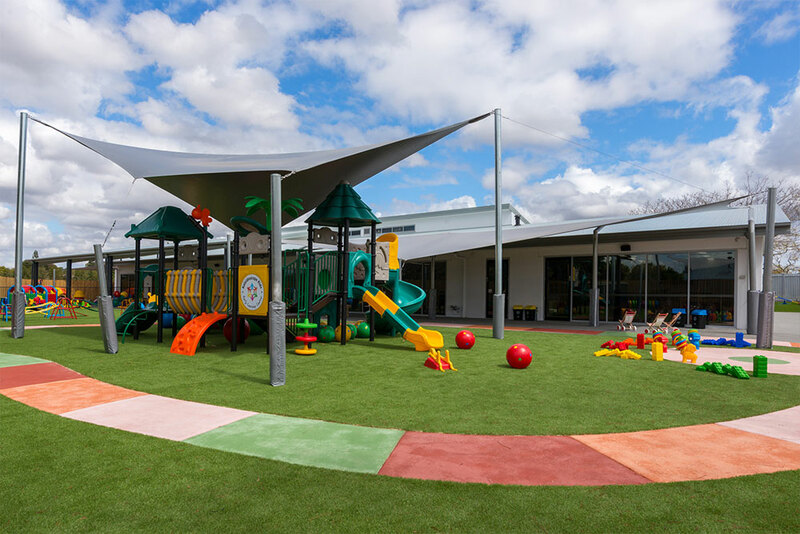 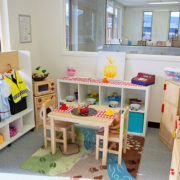 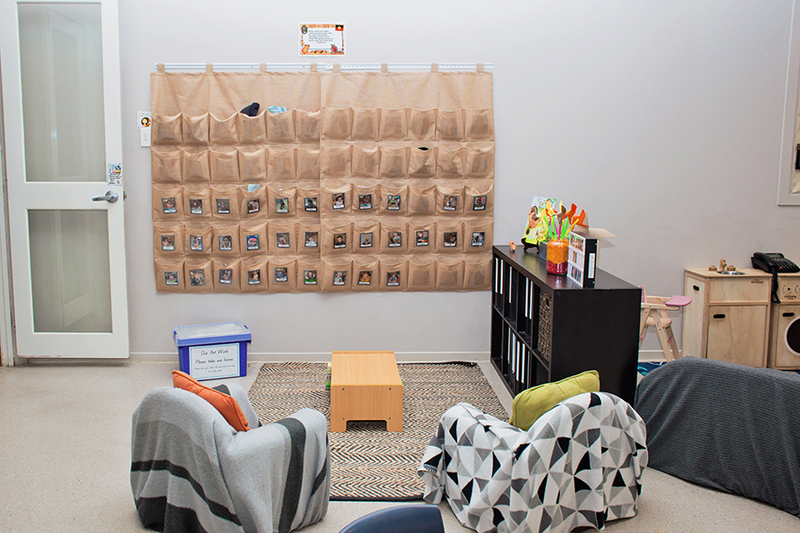 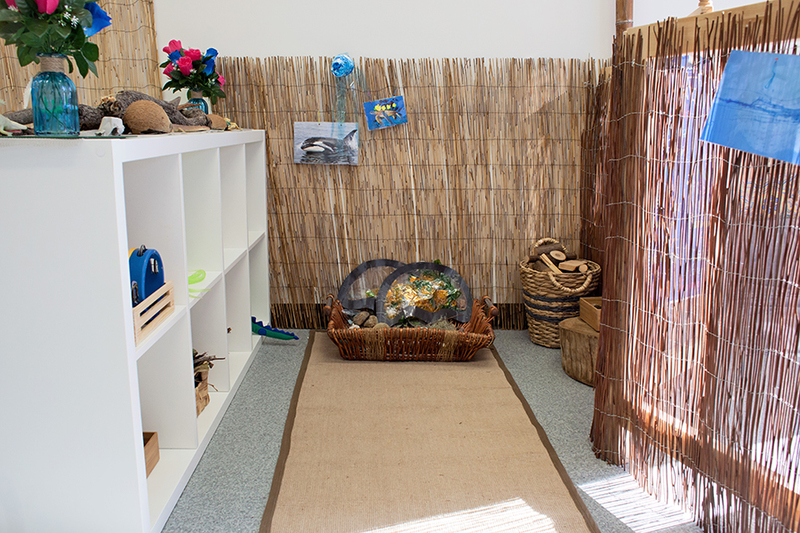 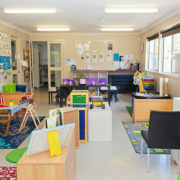 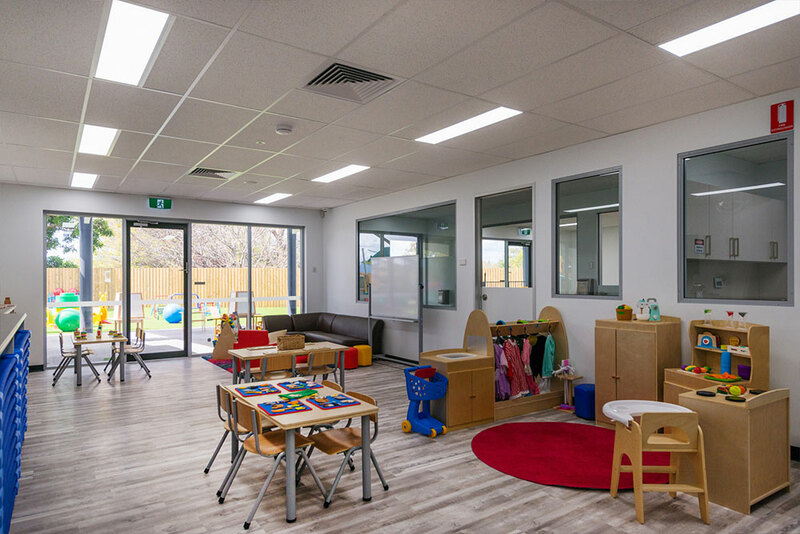 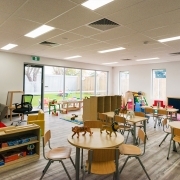 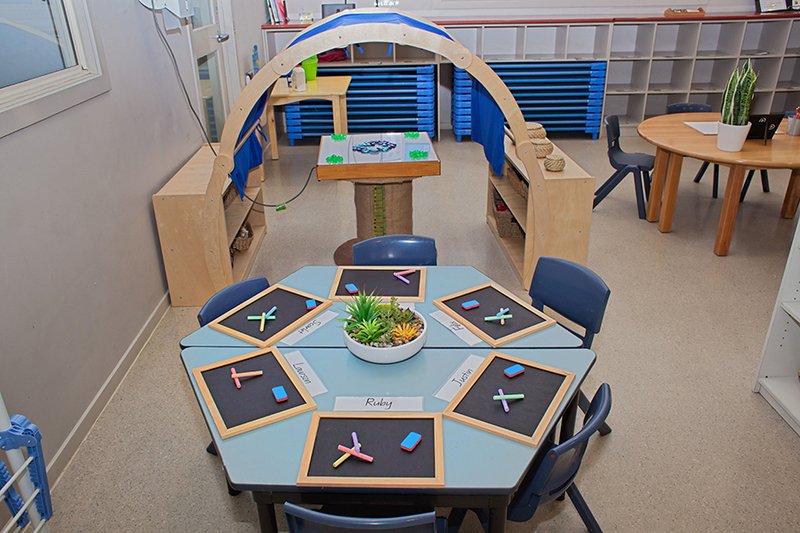 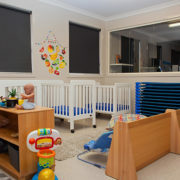 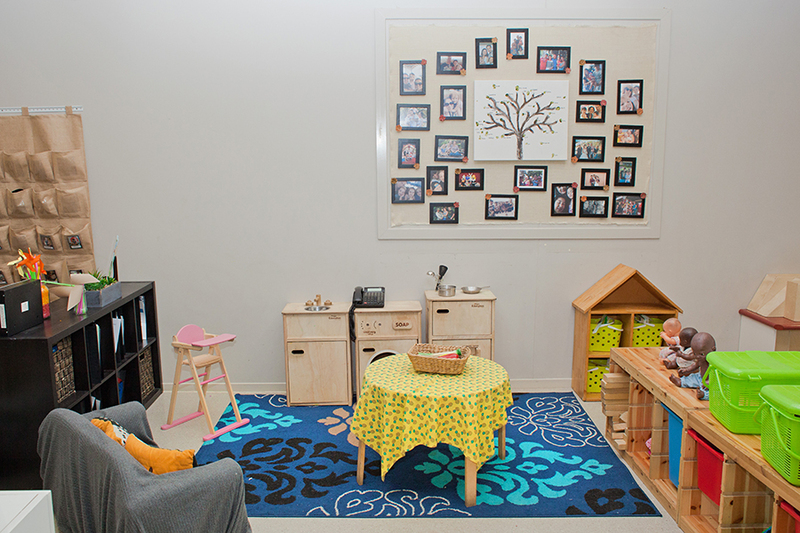 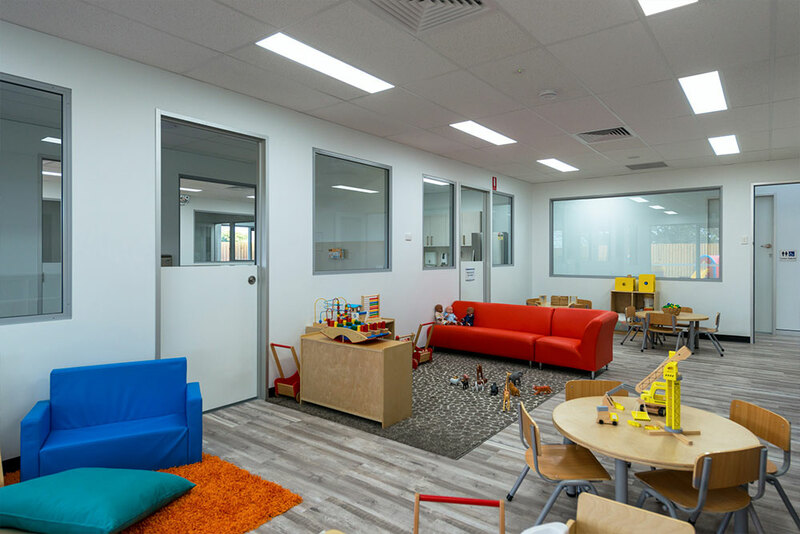 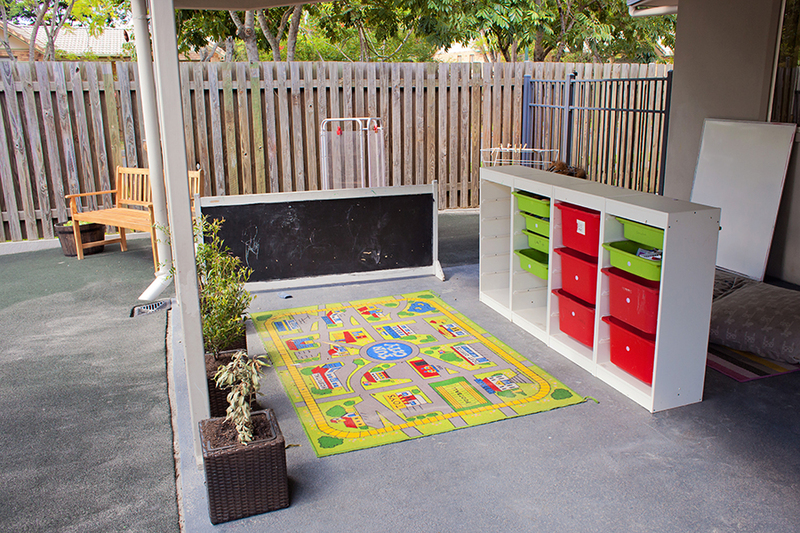 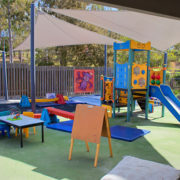 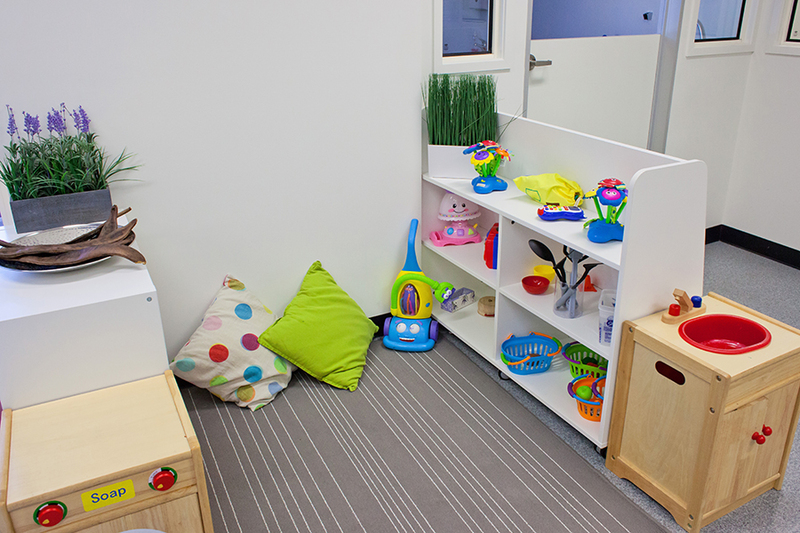 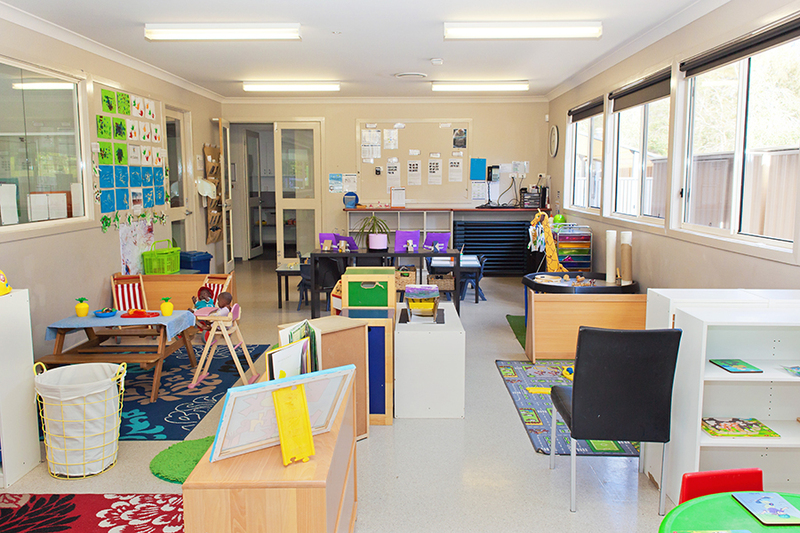 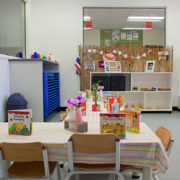 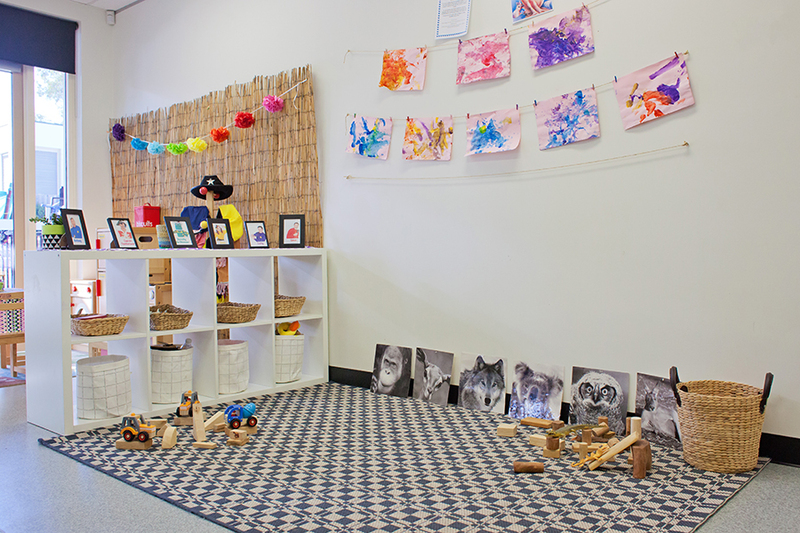 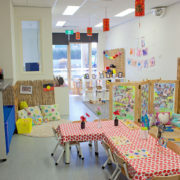 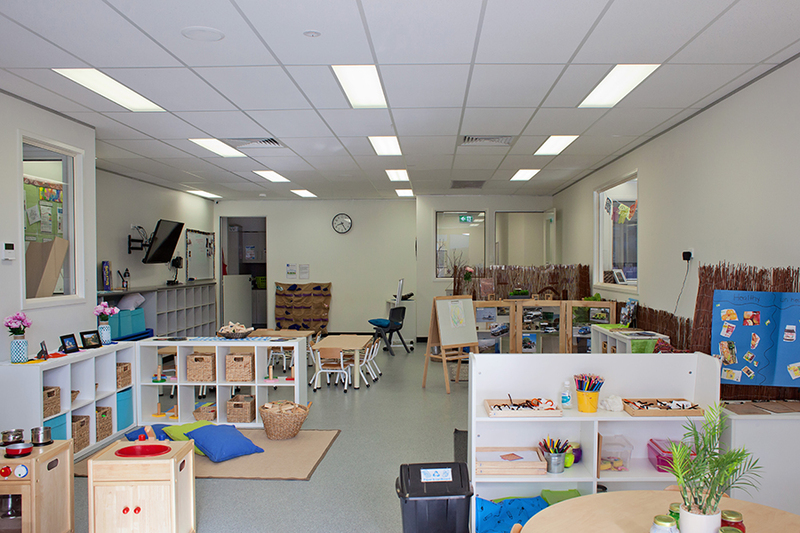 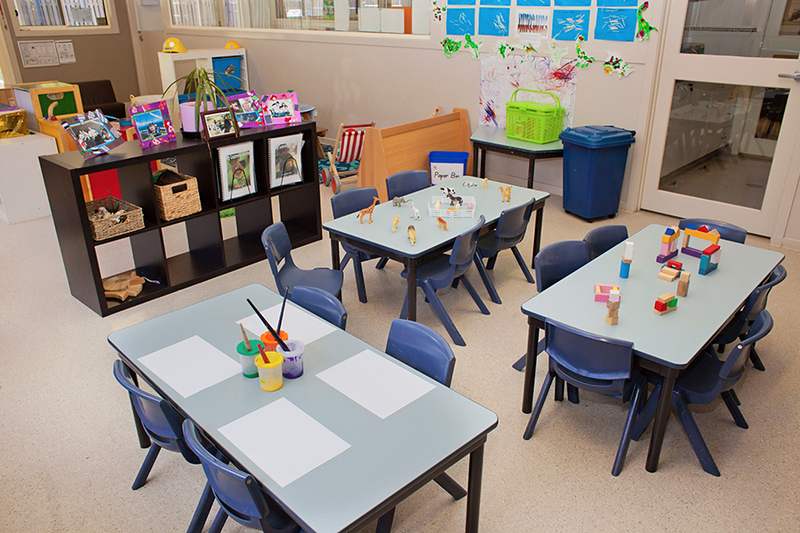 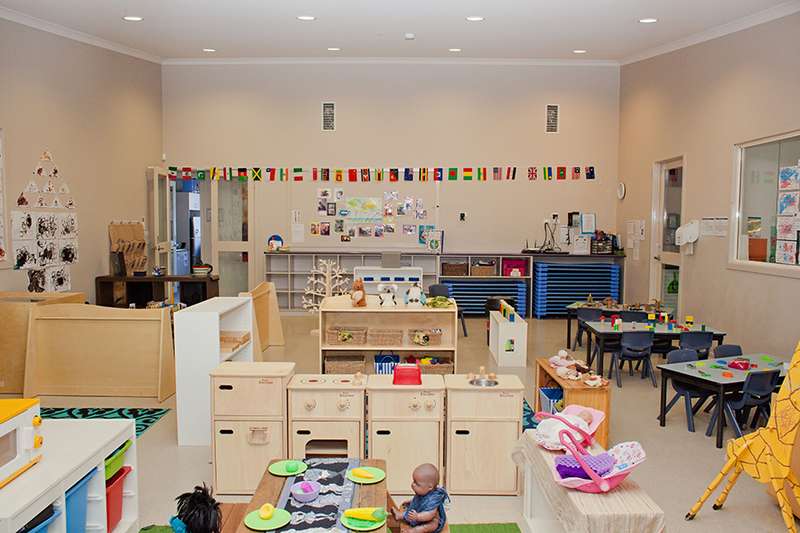 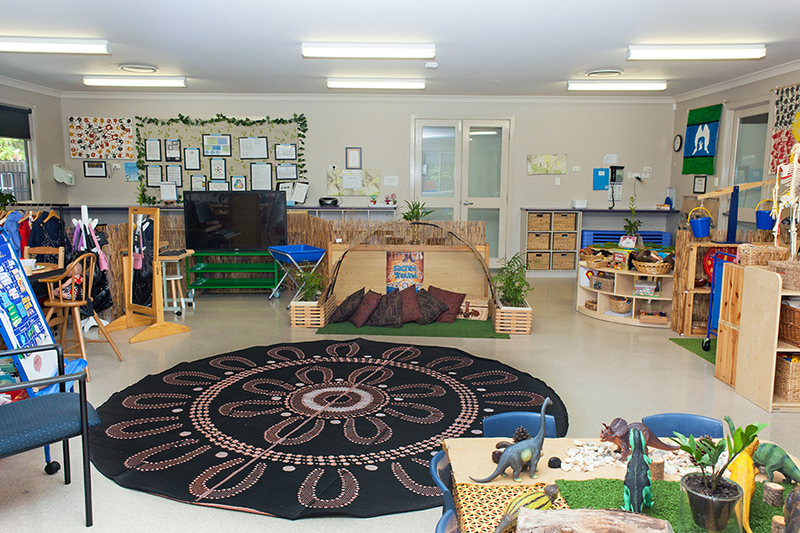 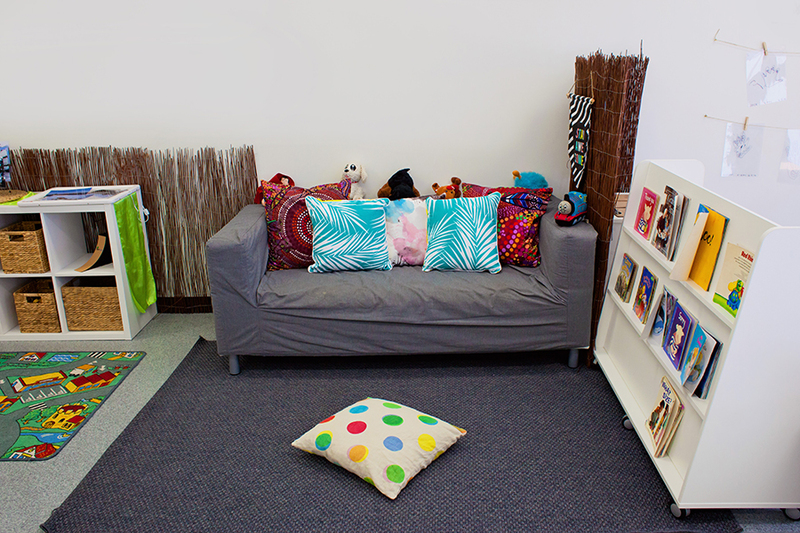 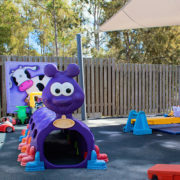 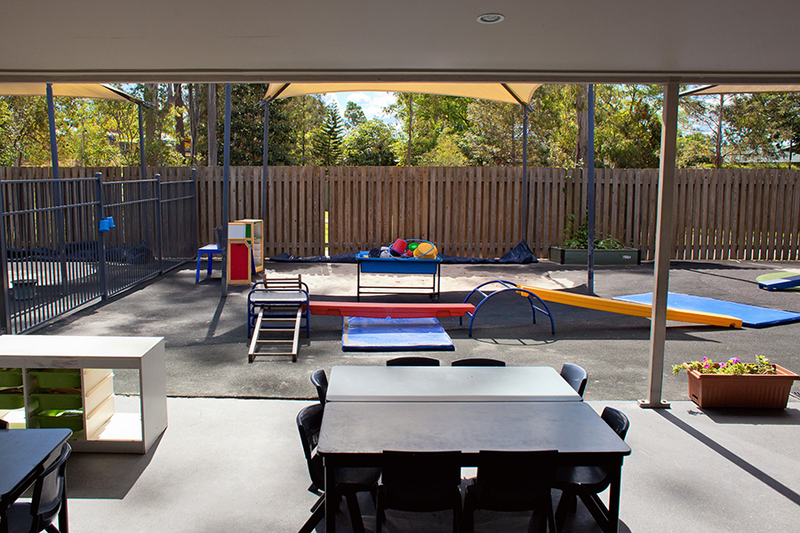 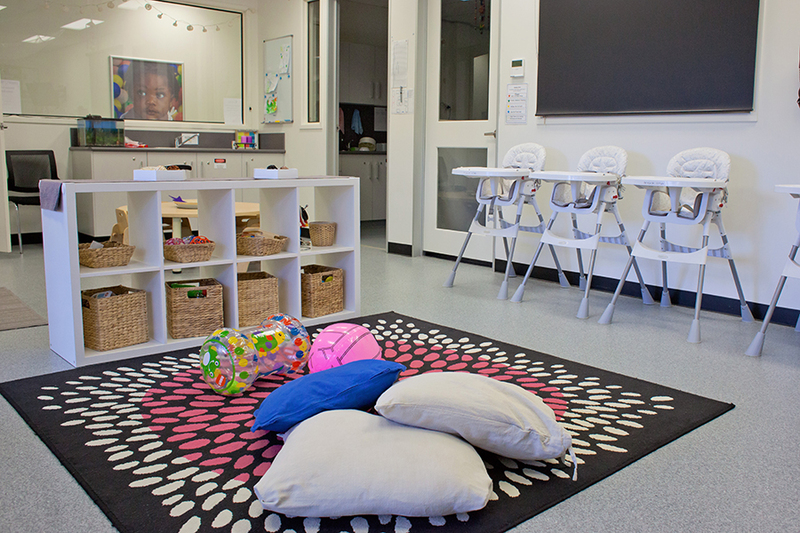 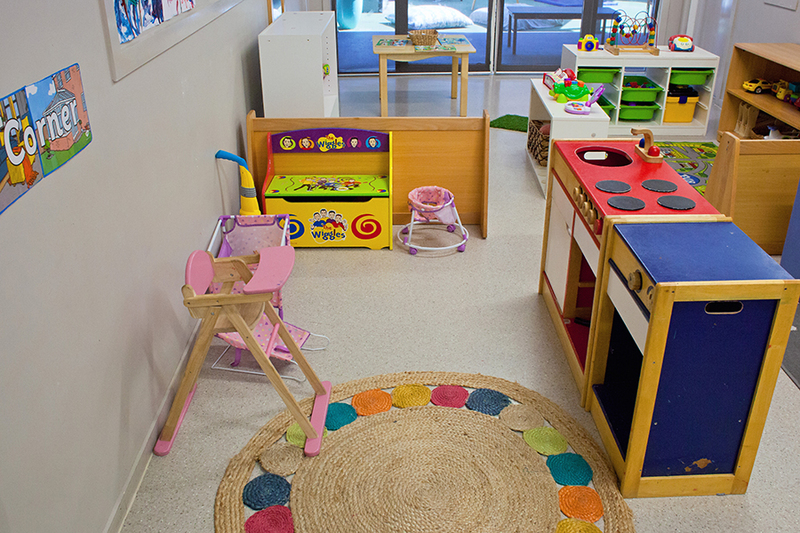 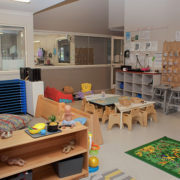 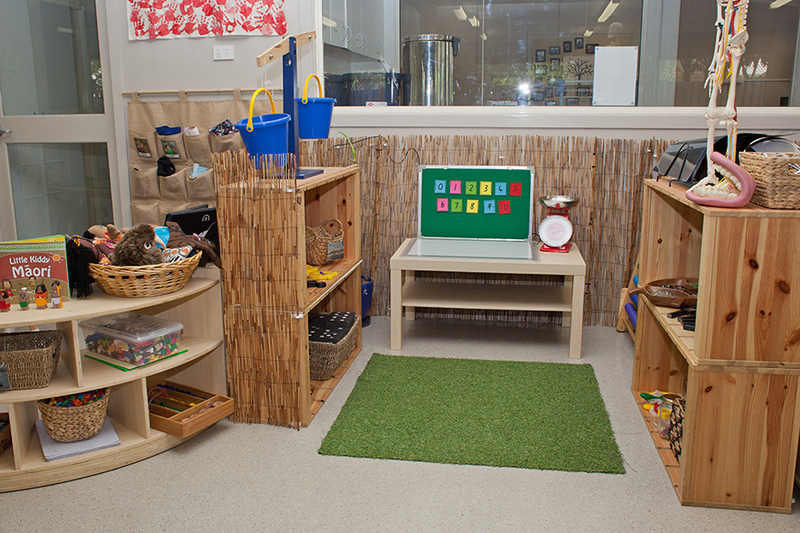 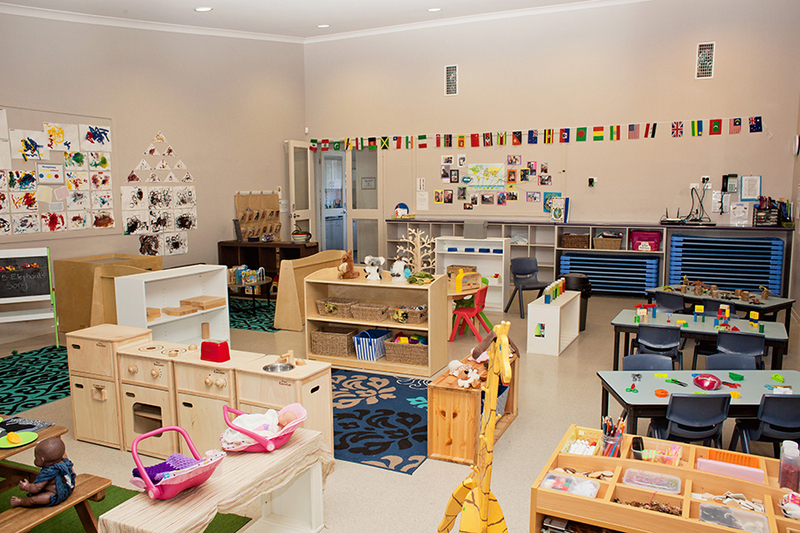 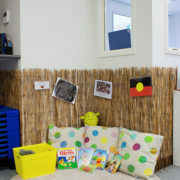 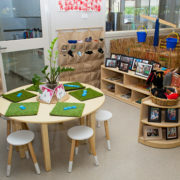 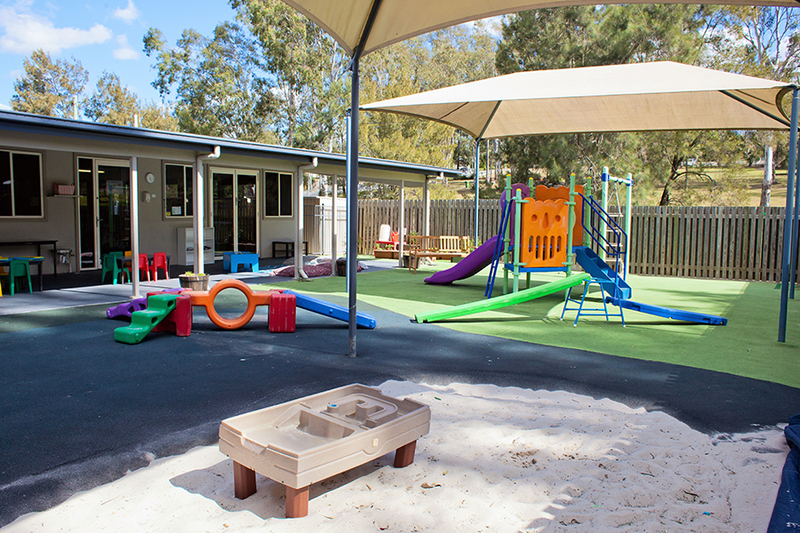 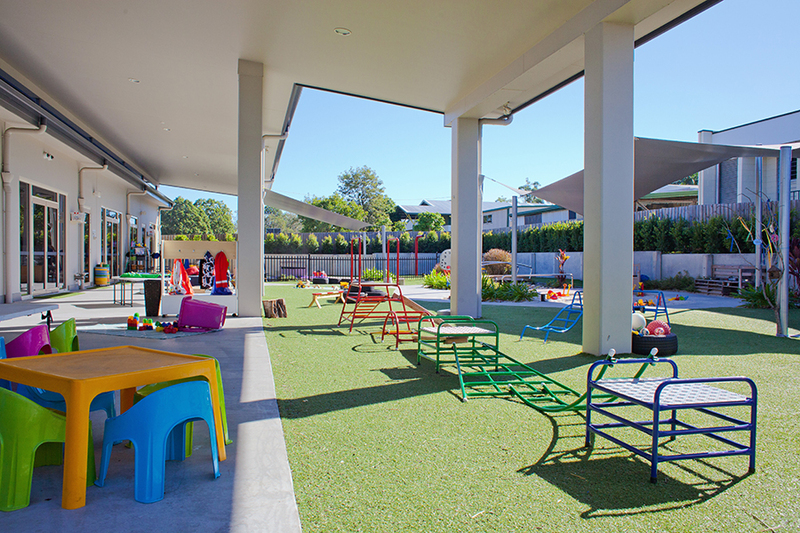 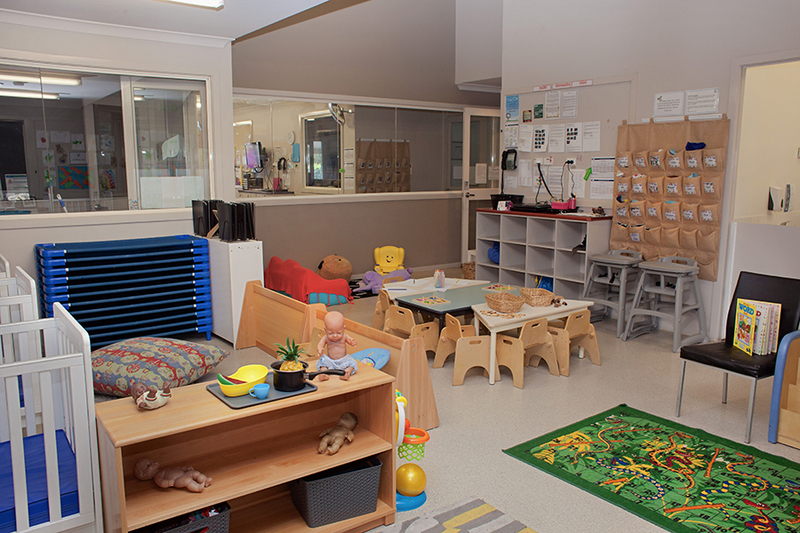 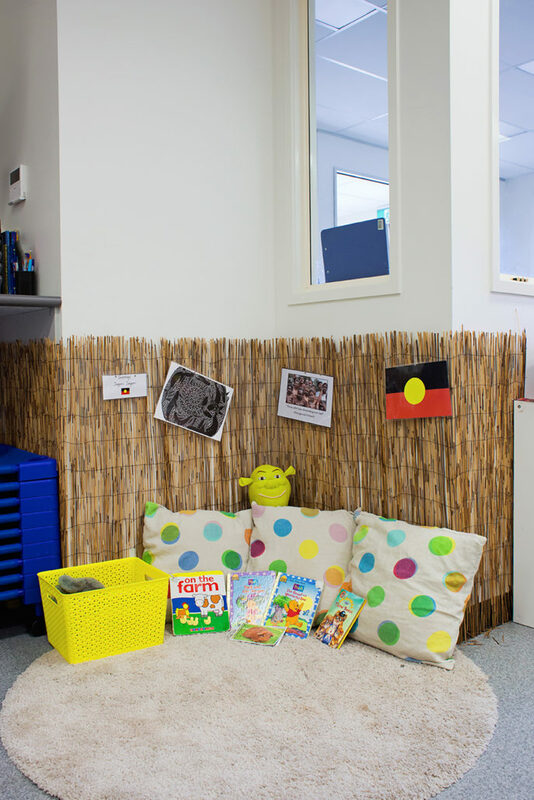 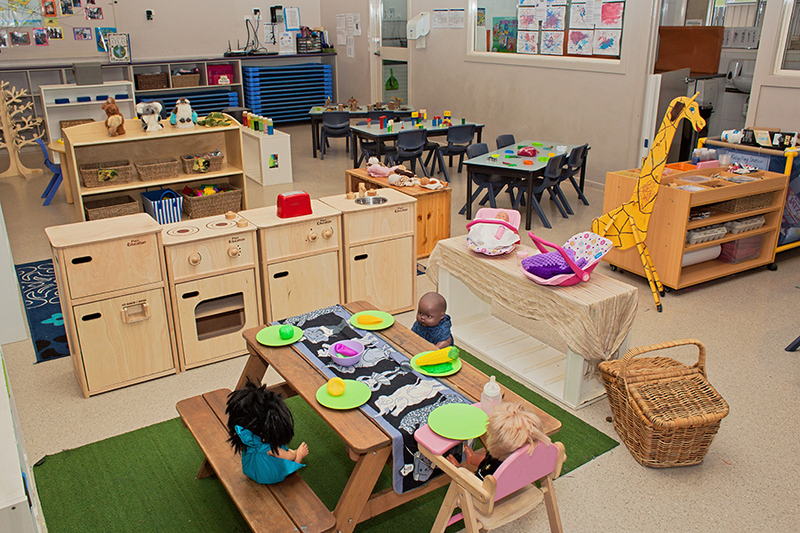 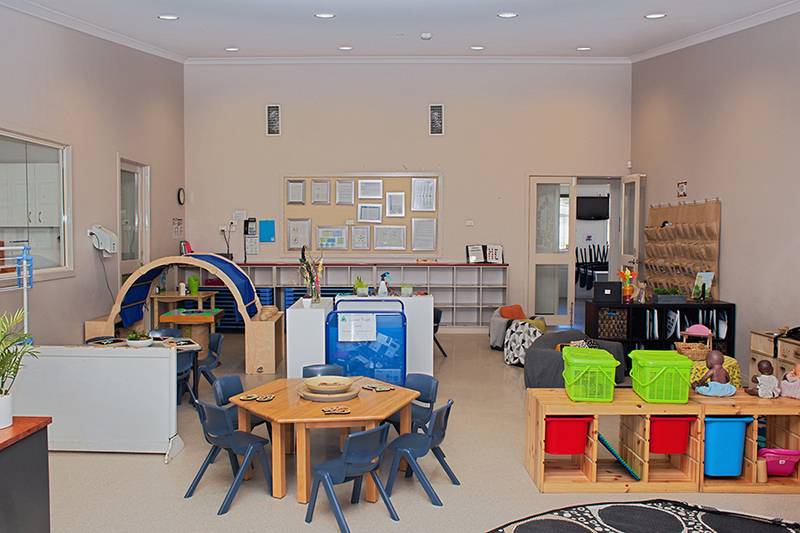 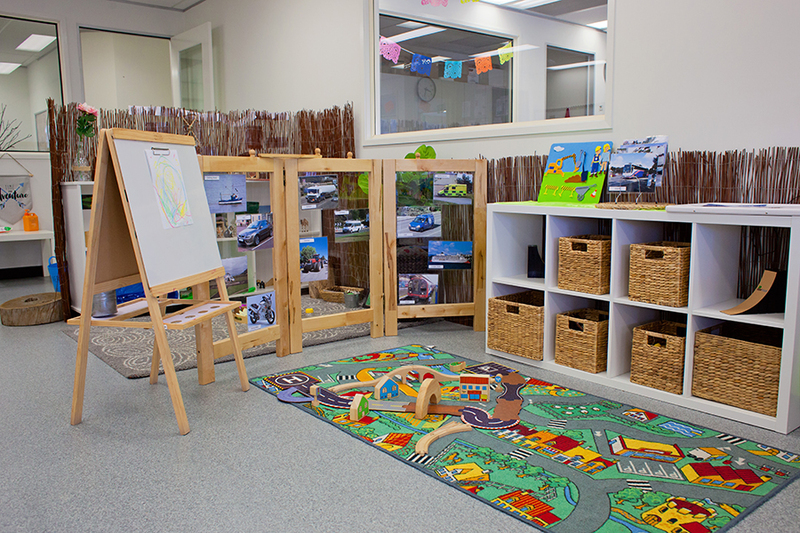 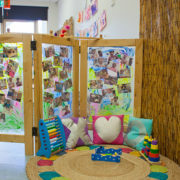 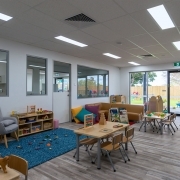 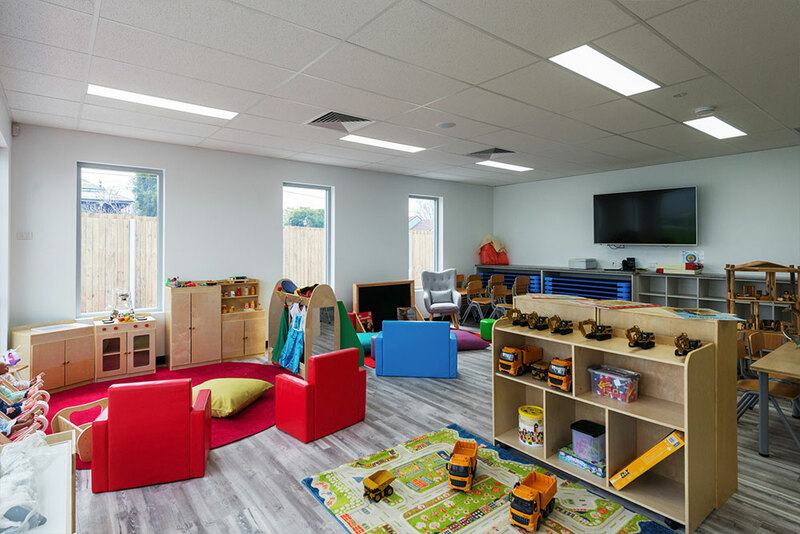 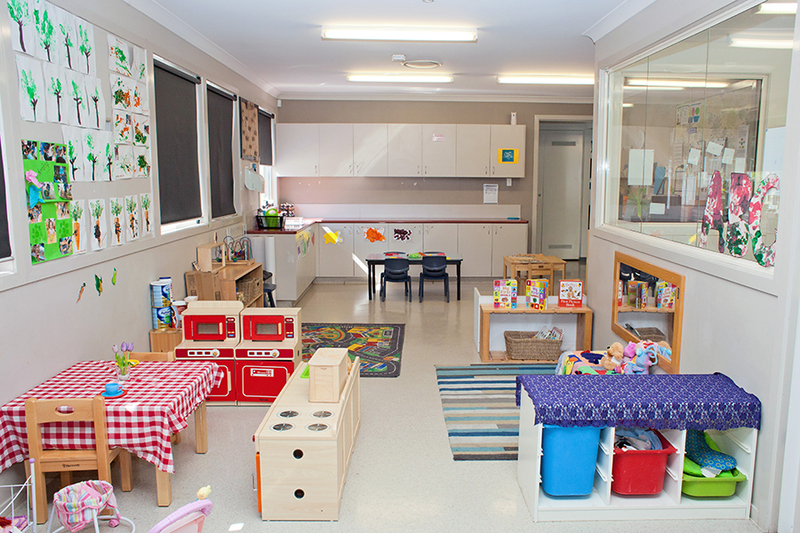 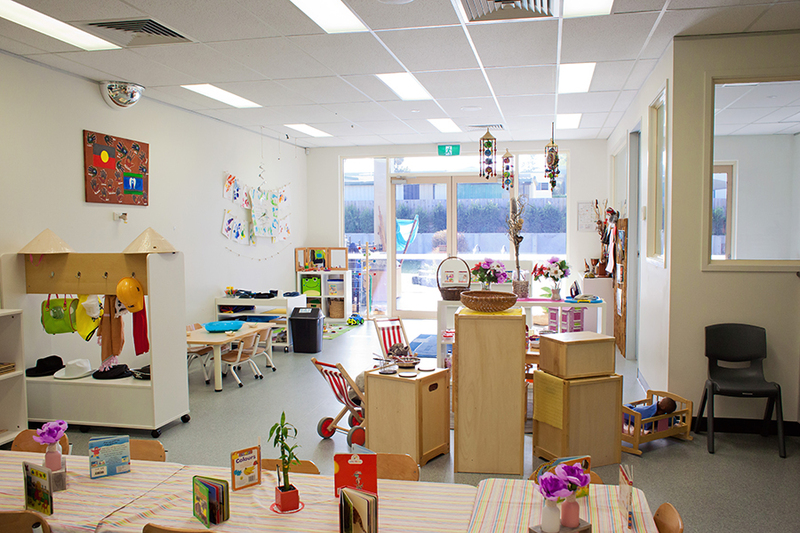 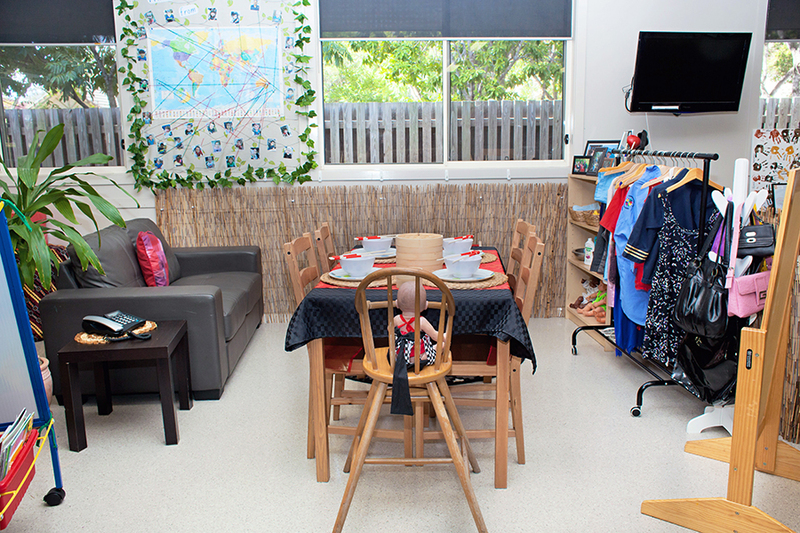 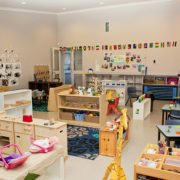 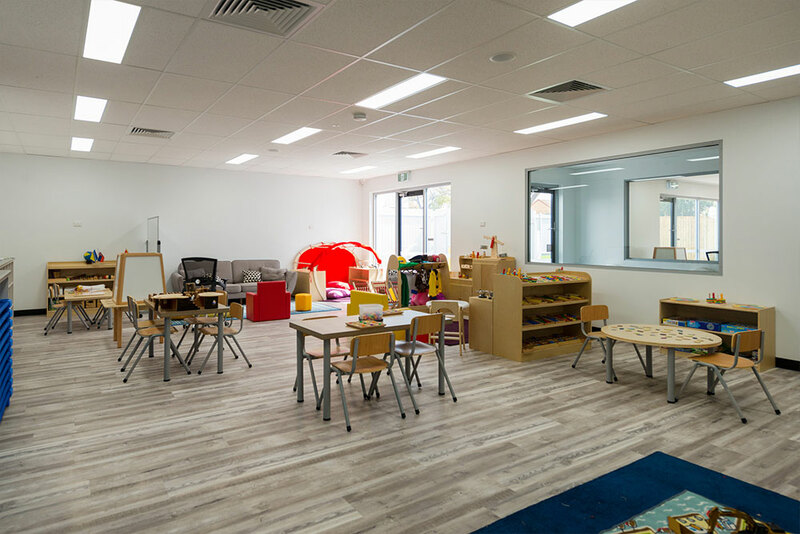 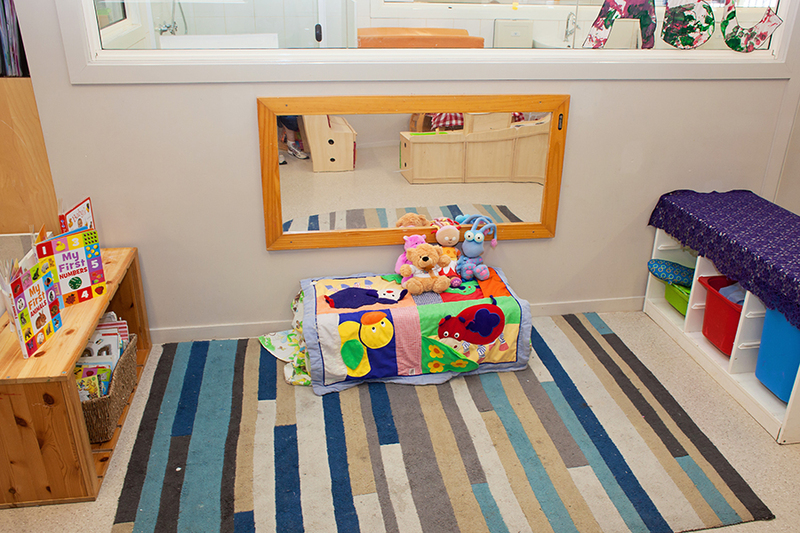 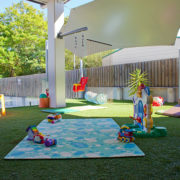 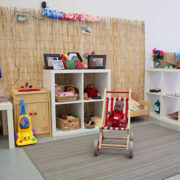 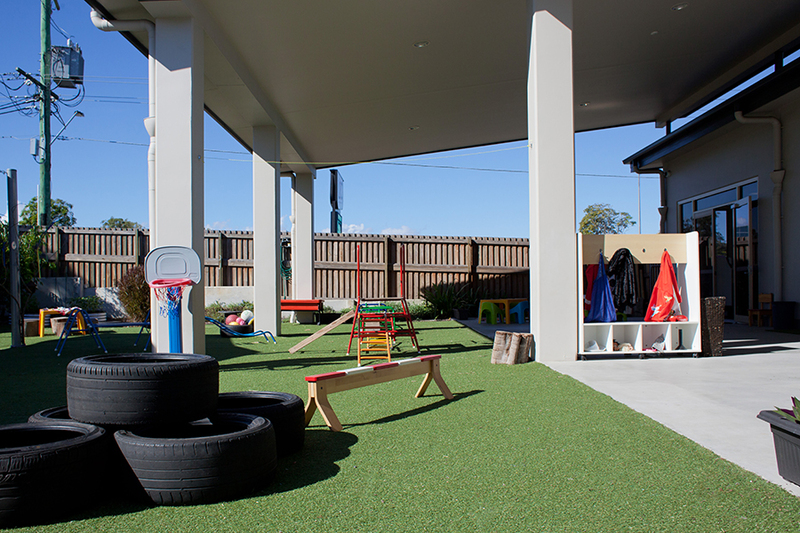 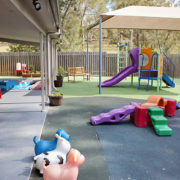 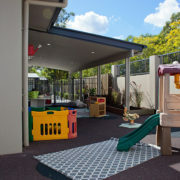 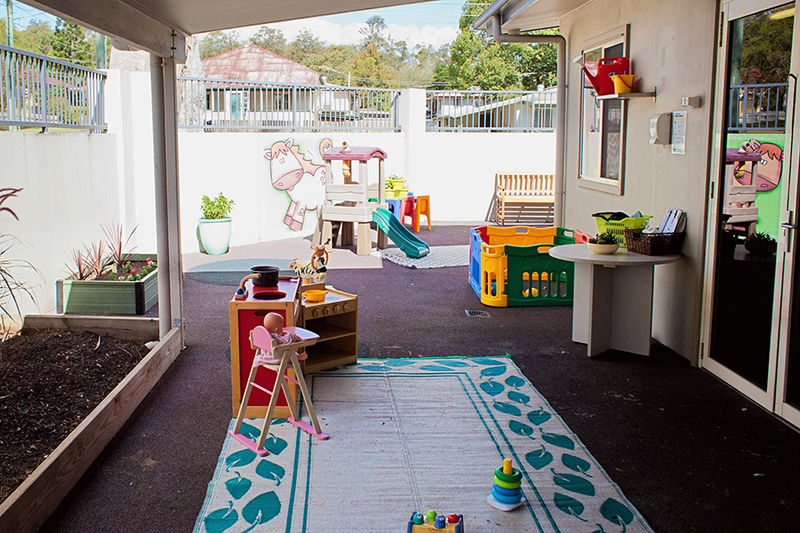 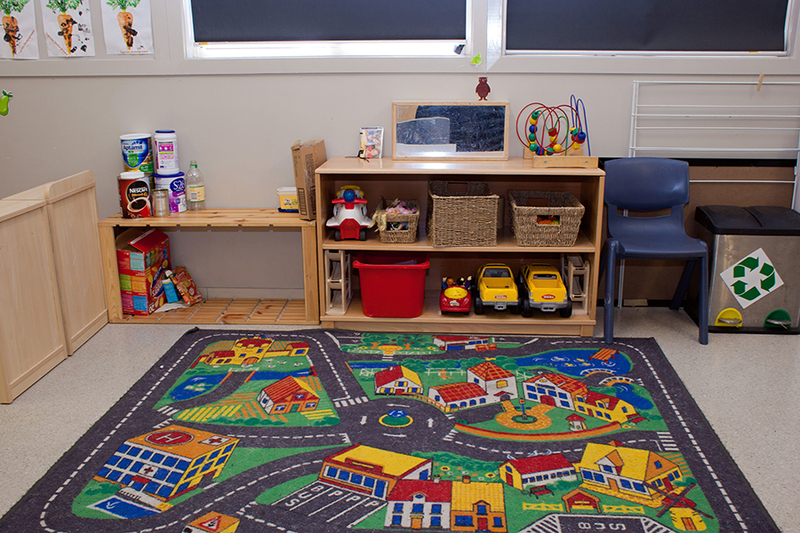 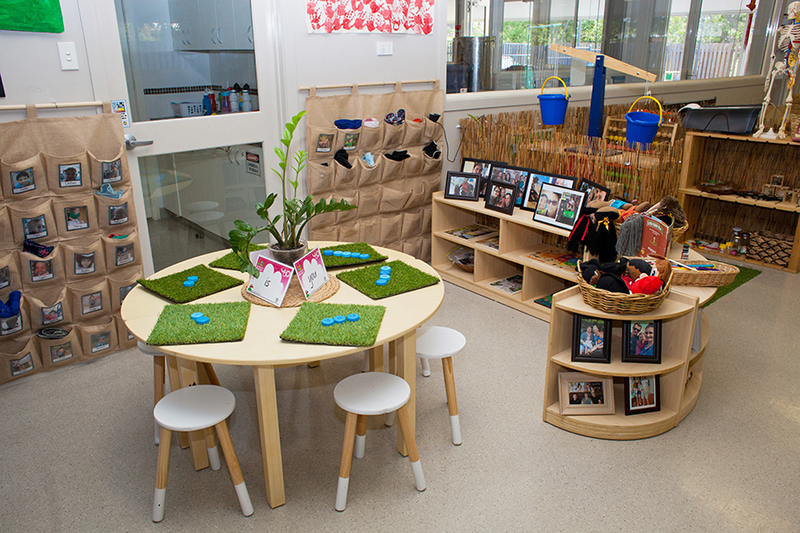 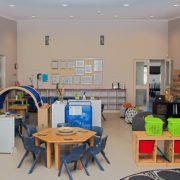 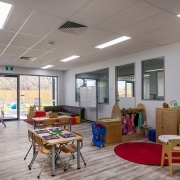 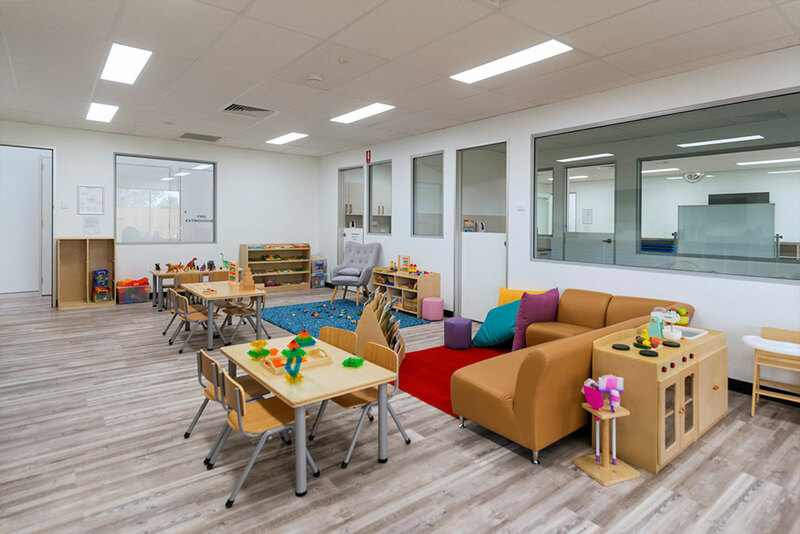 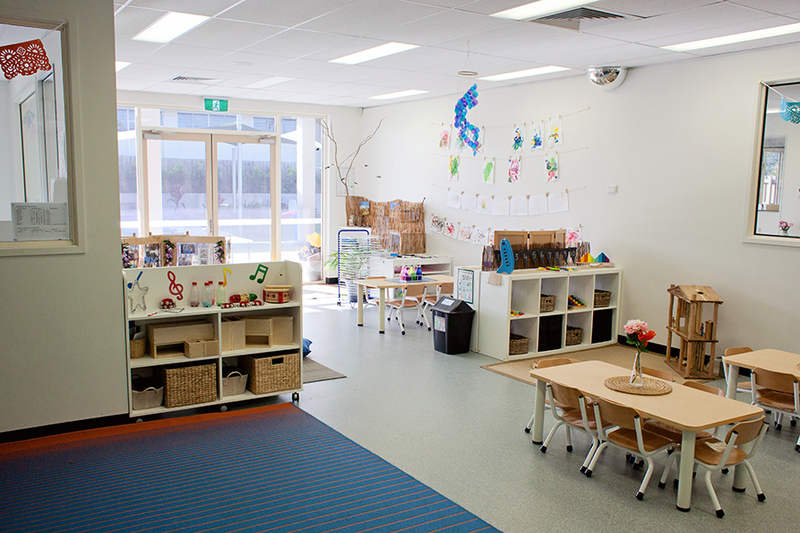 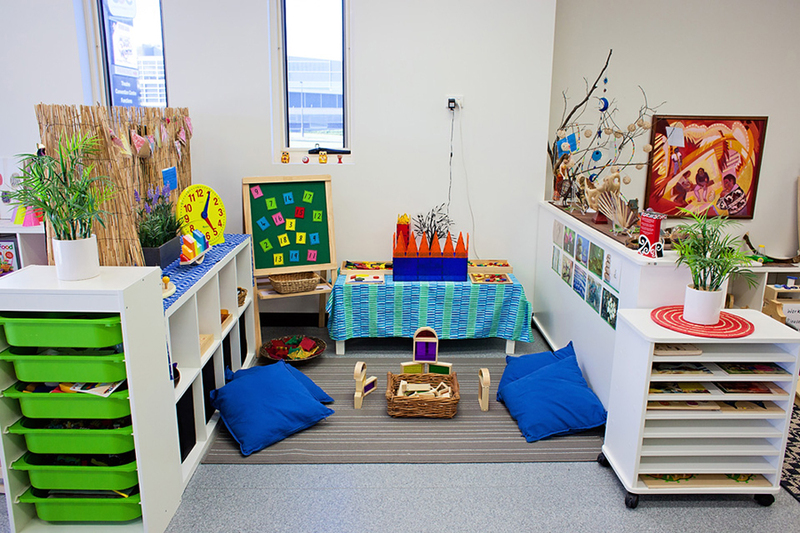 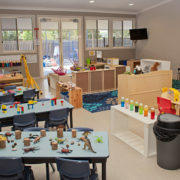 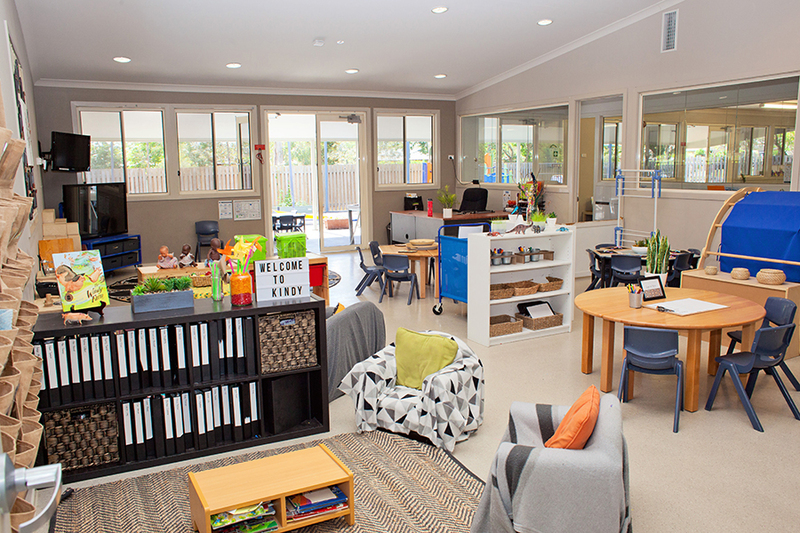 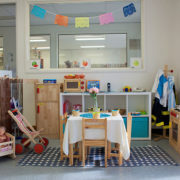 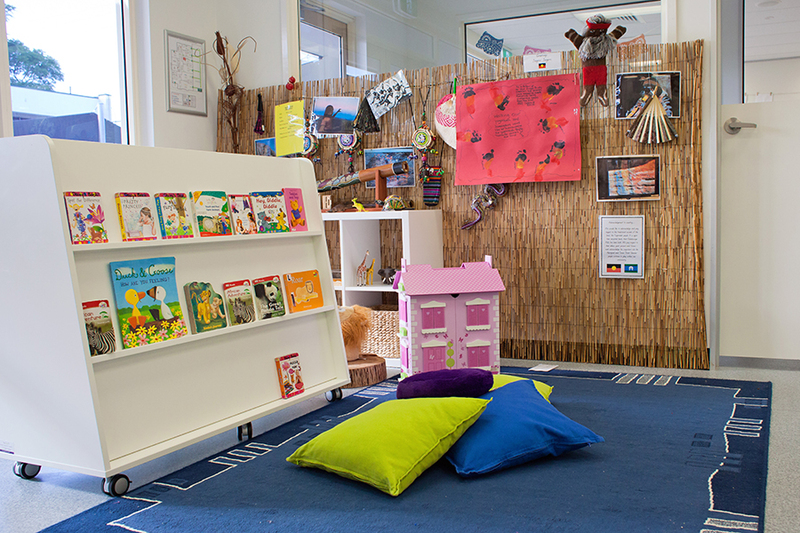 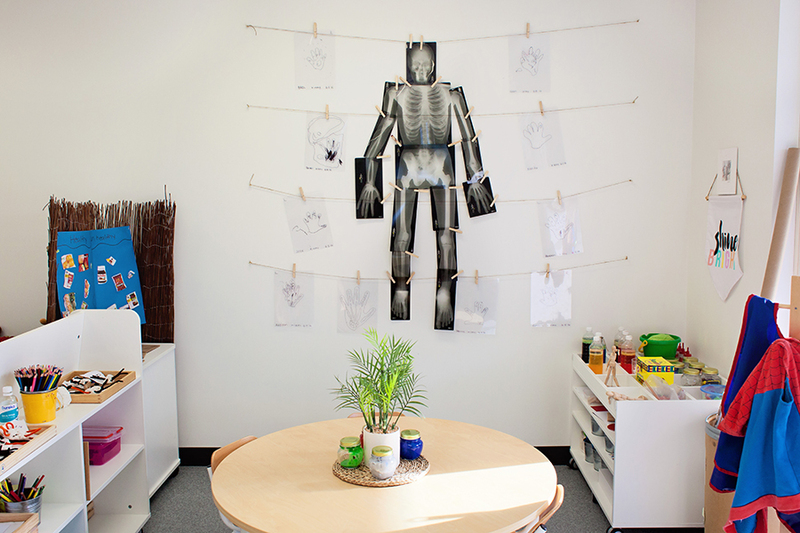 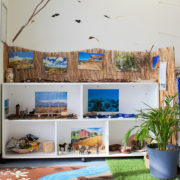 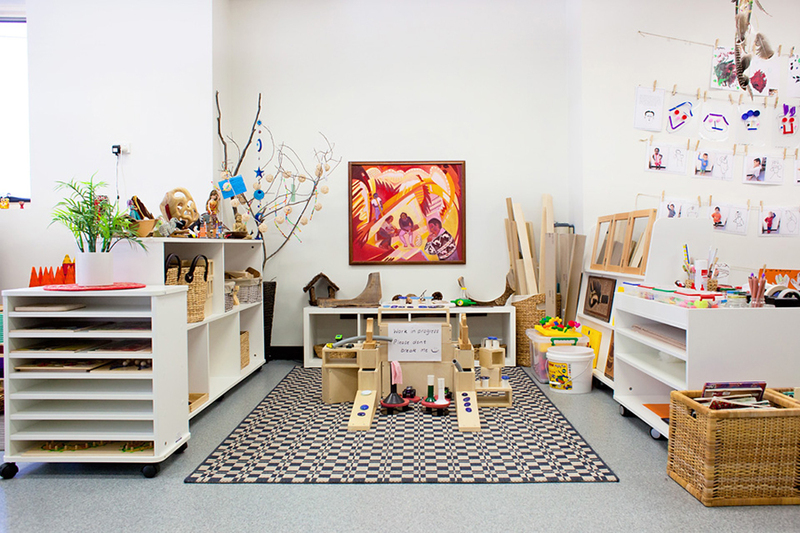 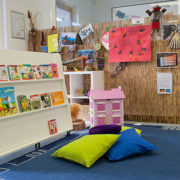 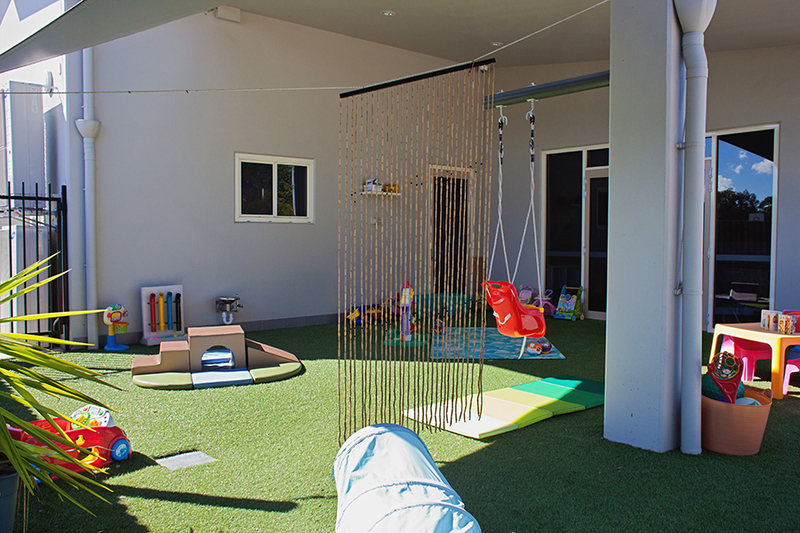 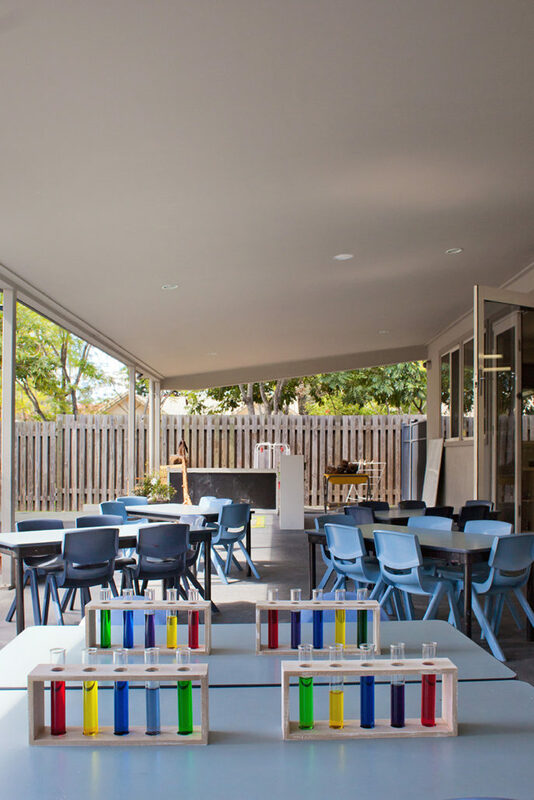 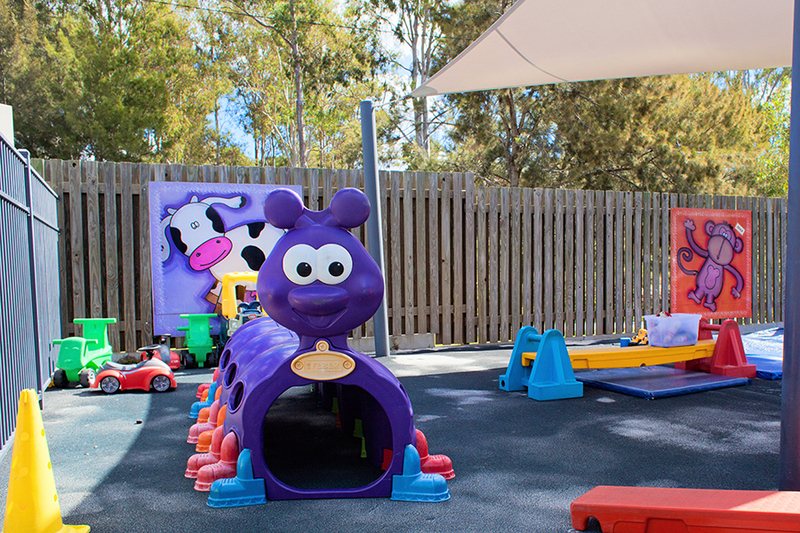 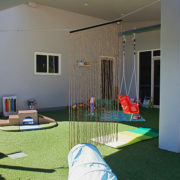 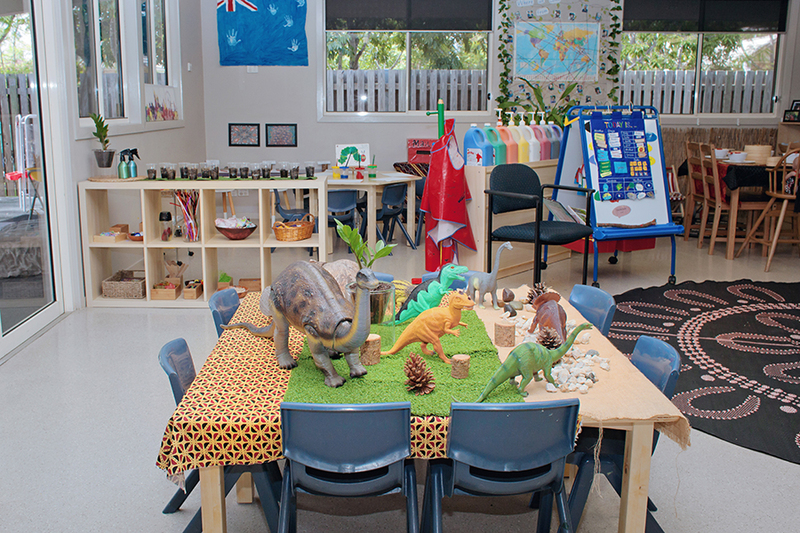 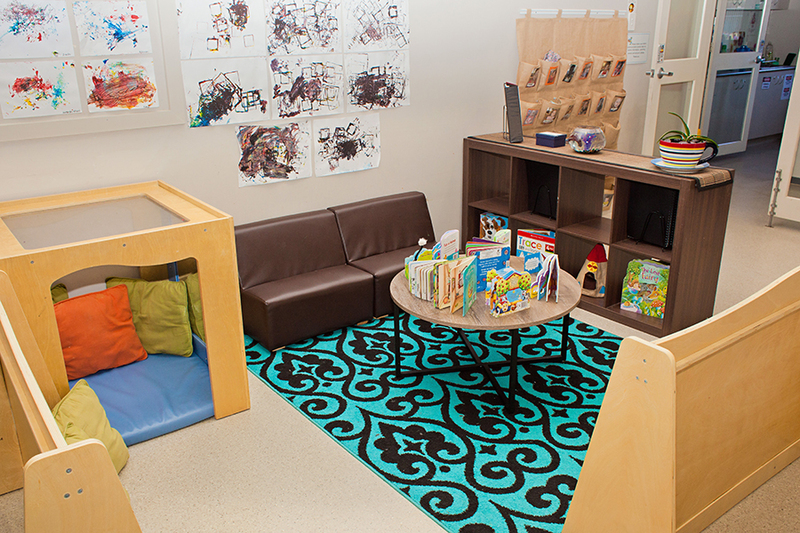 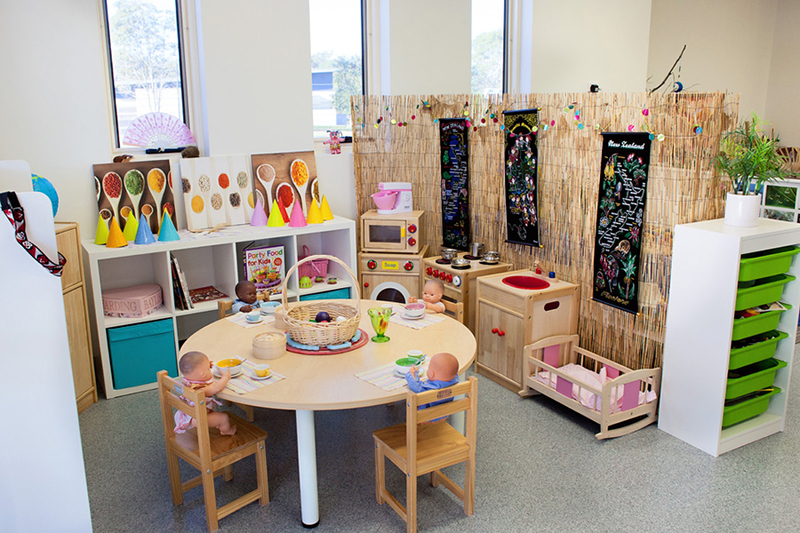 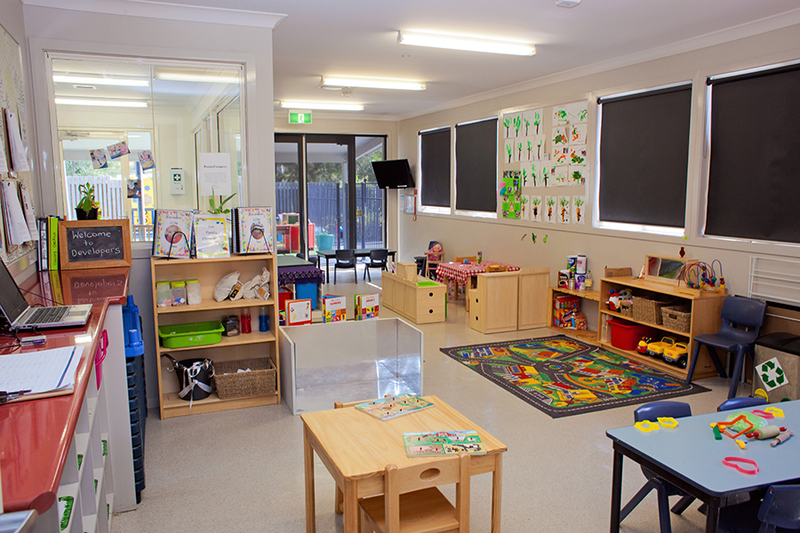 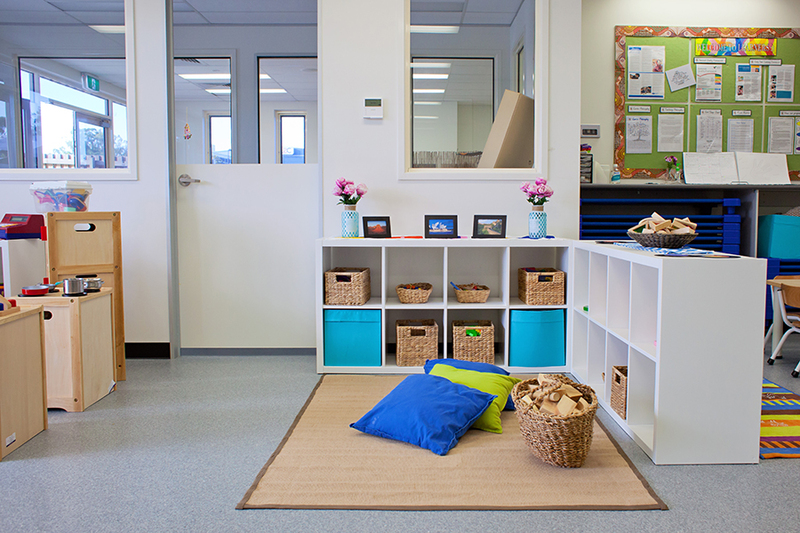 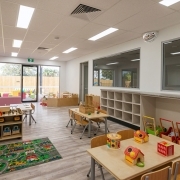 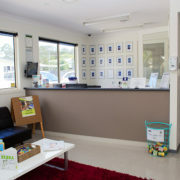 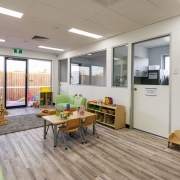 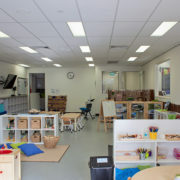 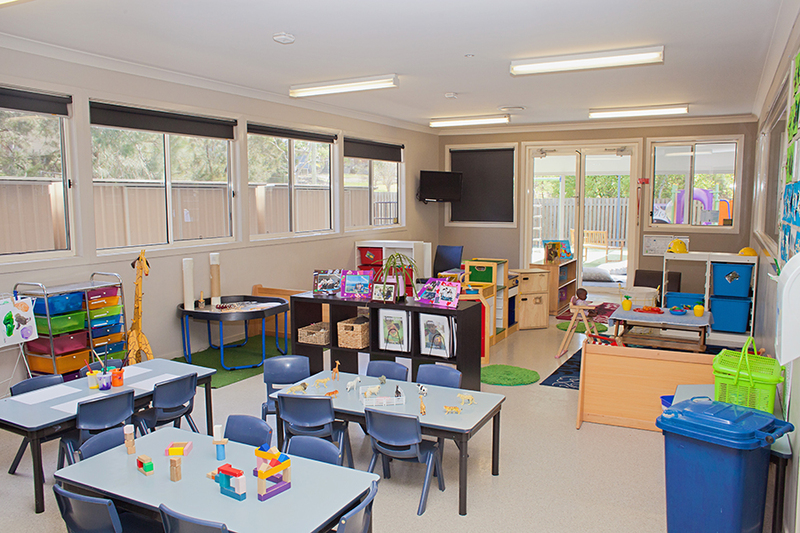 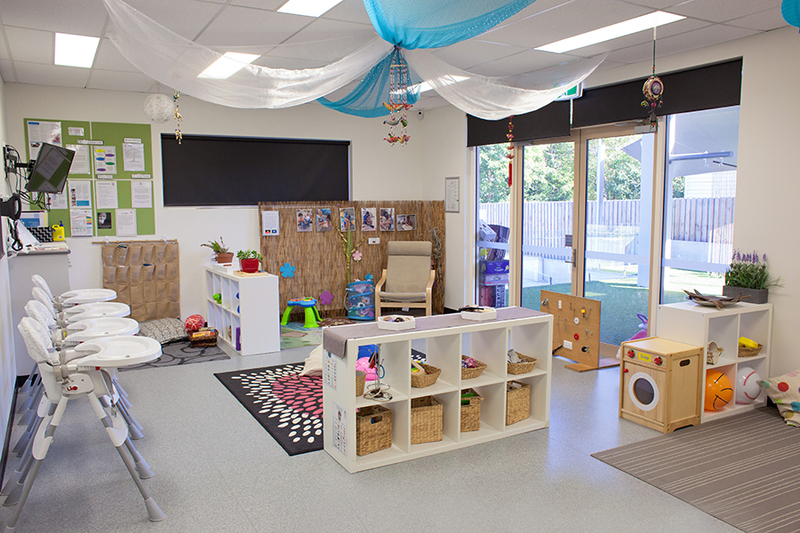 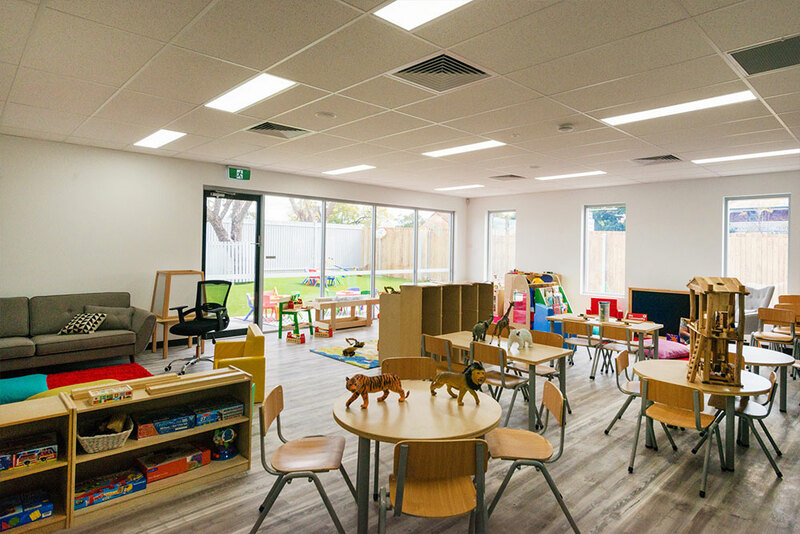 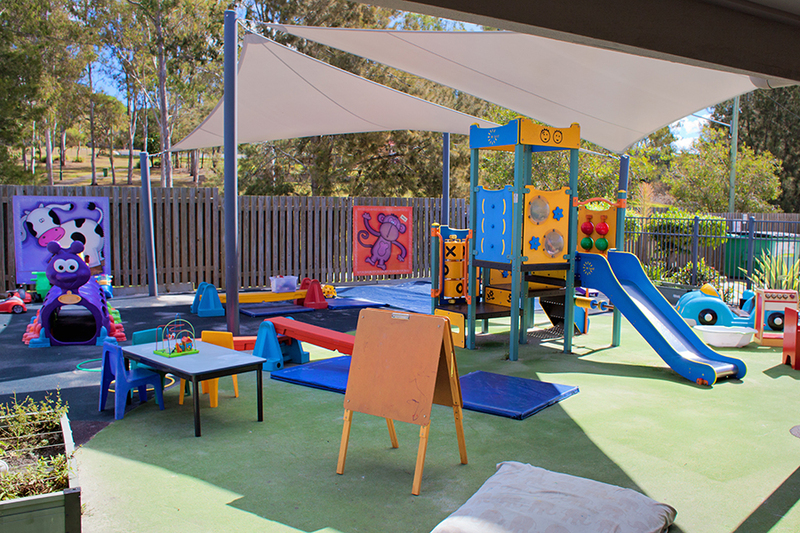 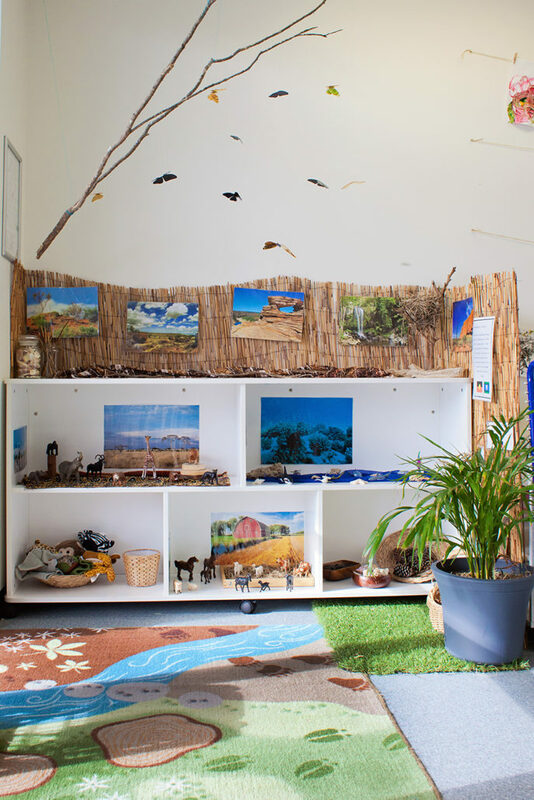 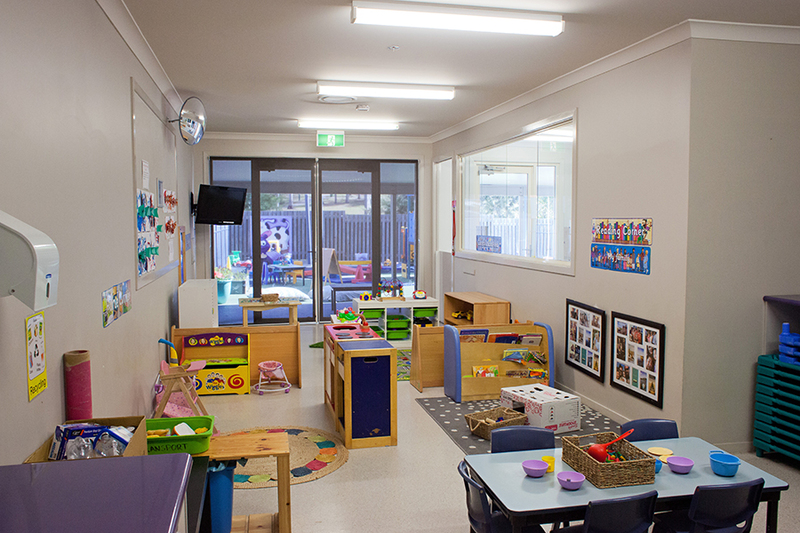 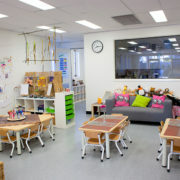 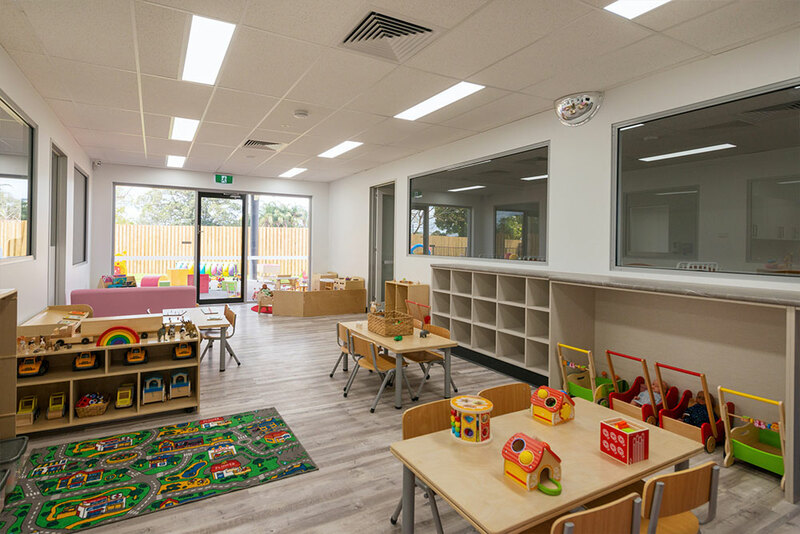 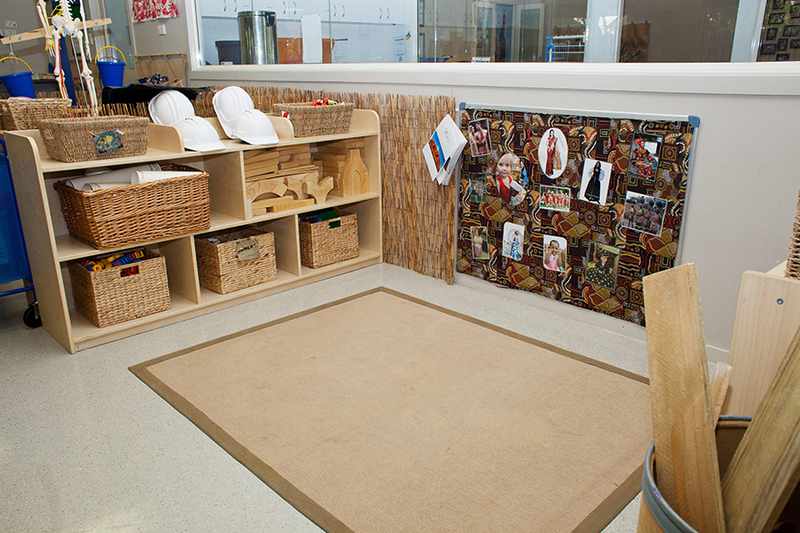 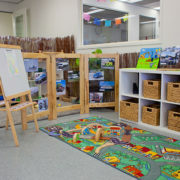 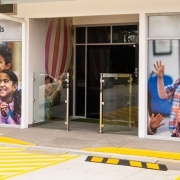 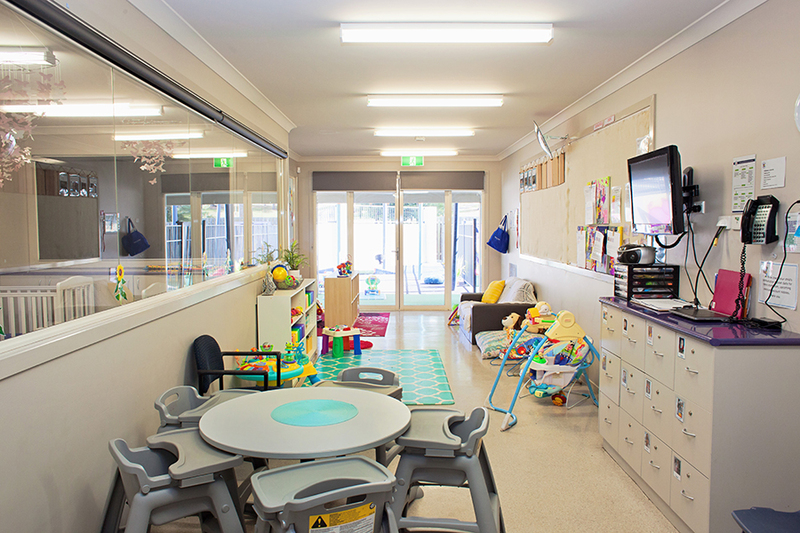 Kaleidoscope Kids Early Learning Centre Booval is fitted out with amazing resources, licensed for up to 150 children per day aged between six weeks and six years across nine classrooms. 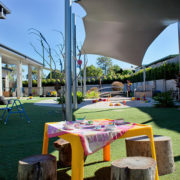 The centre has beautiful, natural landscaped outdoor environments, where there will be lots of places for children to have fun and explore. 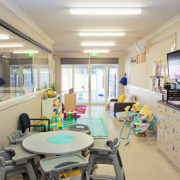 The inside has been beautifully designed to make it feel like a home away from home, where parents and children will feel welcome. 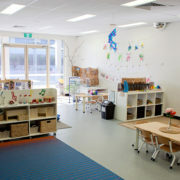 The centre is very well resourced for both indoor and outdoor environments. 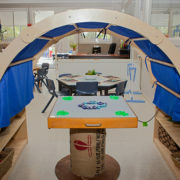 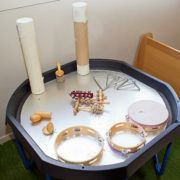 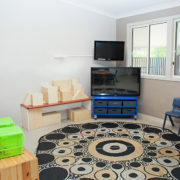 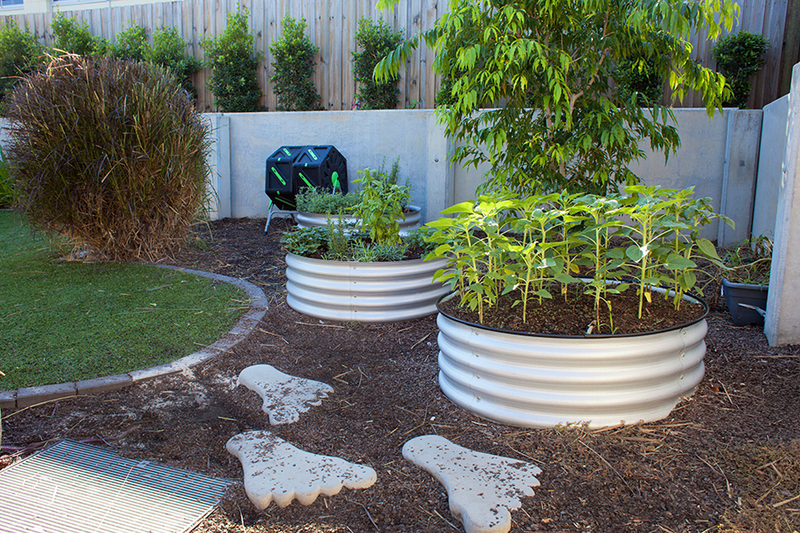 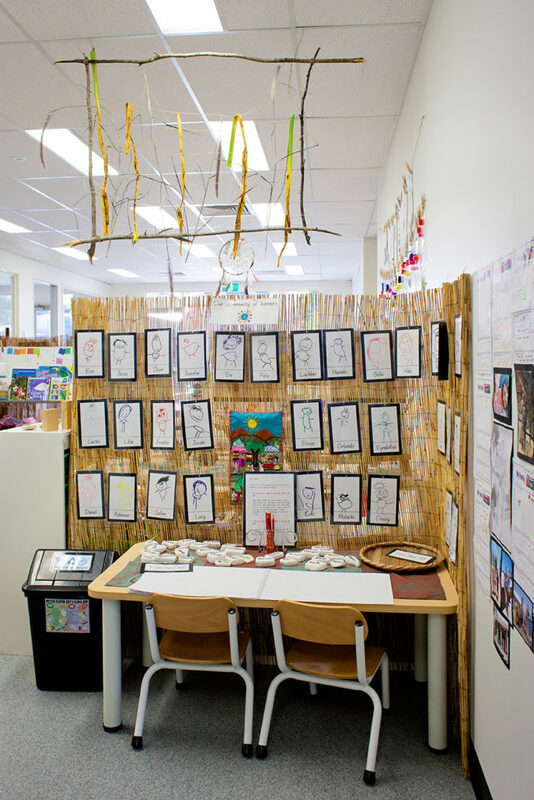 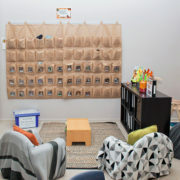 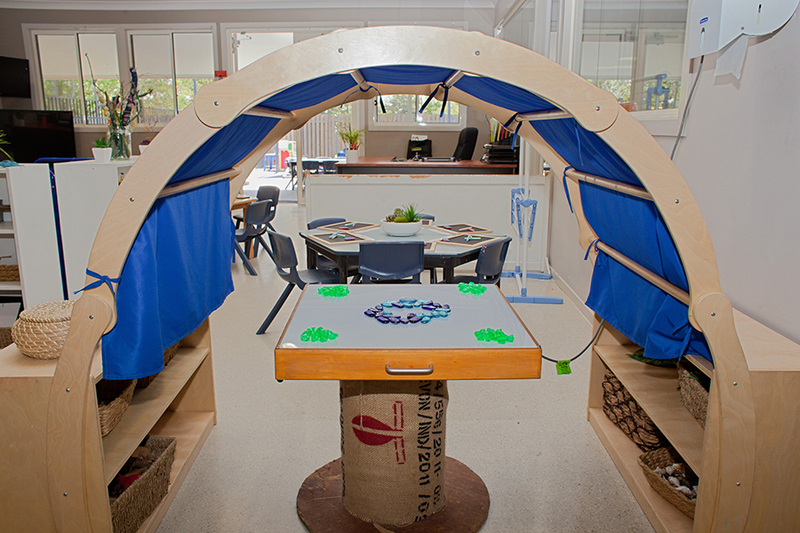 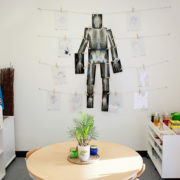 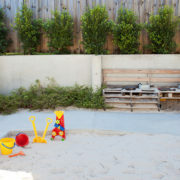 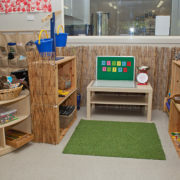 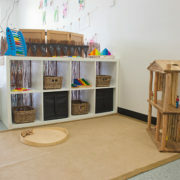 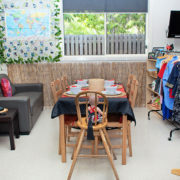 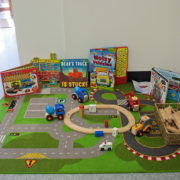 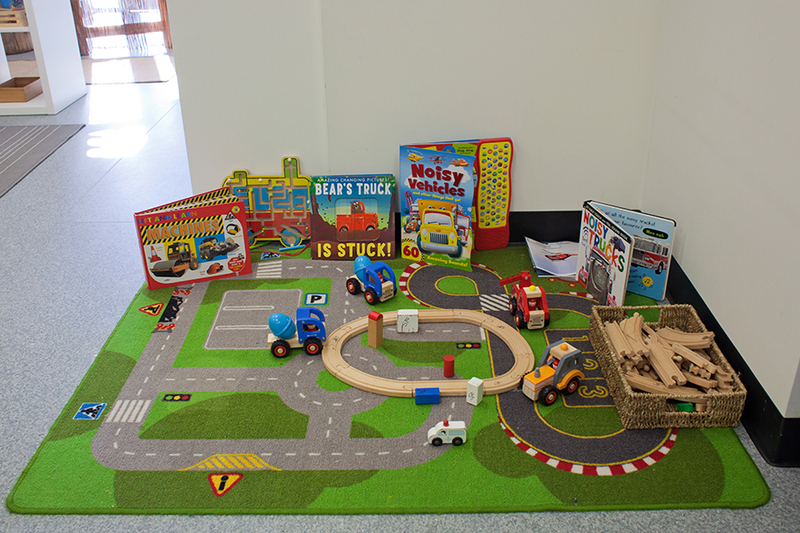 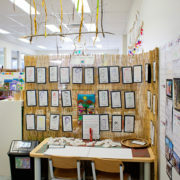 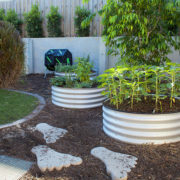 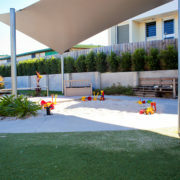 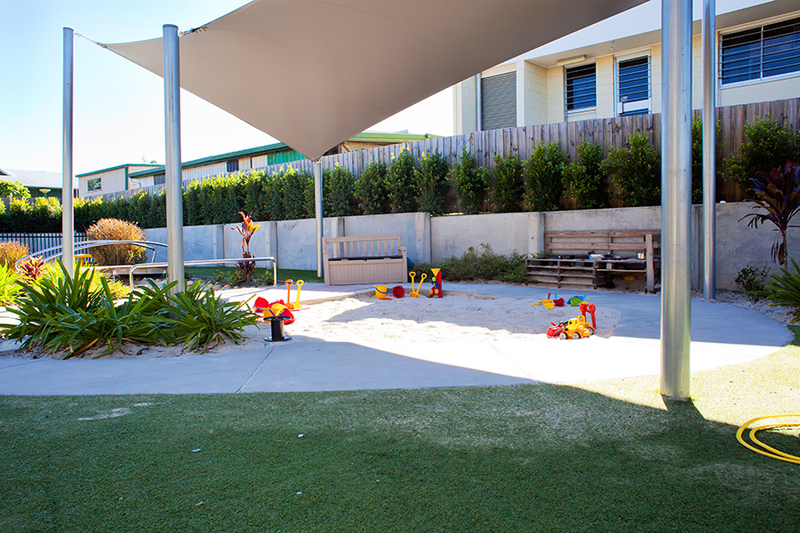 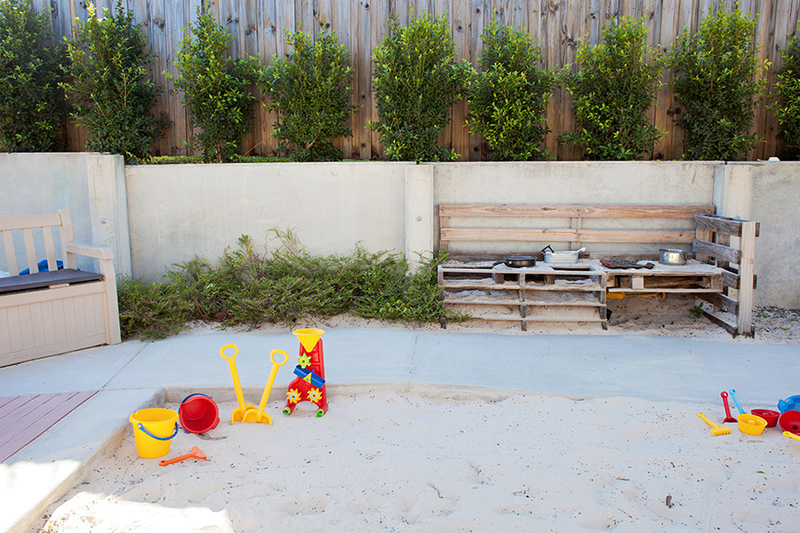 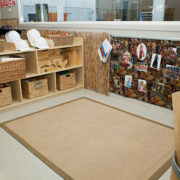 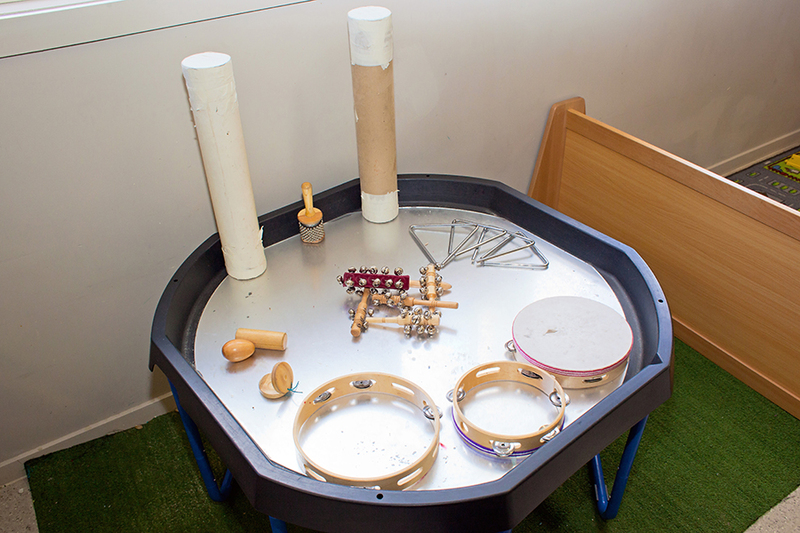 The curriculum is based on the Early Years Learning Framework and the Queensland Kindergarten Guidelines. 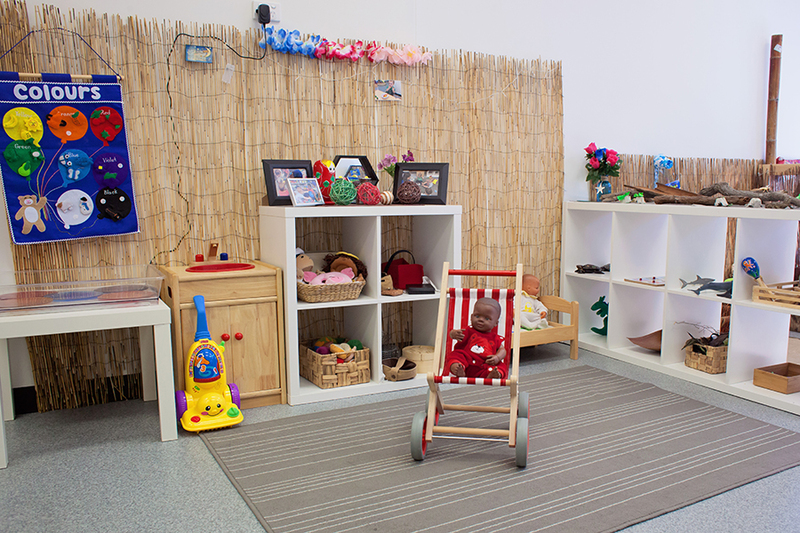 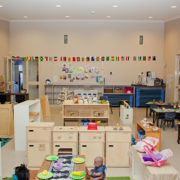 The centre is an “all inclusive” service providing nappies, wipes, sunscreen and nutritionally balanced meals daily. 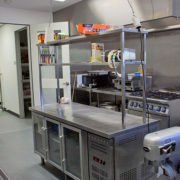 All meals are prepared on site in our commercial grade kitchen.